Louis XV (15 February 1710 – 10 May 1774), known as Louis the Beloved (French: le Bien-Aimé), was a monarch of the House of Bourbon who ruled as King of France from 1 September 1715 until his death in 1774. He succeeded his great-grandfather Louis XIV at the age of five. Until he reached maturity (then defined as his 13th birthday) on 15 February 1723, the kingdom was ruled by Philippe II, Duke of Orléans, as Regent of France. Cardinal Fleury was his chief minister from 1726 until the Cardinal's death in 1743, at which time the young king took sole control of the kingdom. 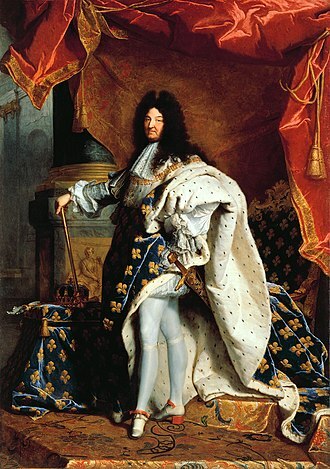 His reign of almost 59 years (from 1715 to 1774) was the second longest in the history of France, exceeded only by his predecessor and great-grandfather, Louis XIV, who had ruled for 72 years (from 1643 to 1715). In 1748, Louis returned the Austrian Netherlands, won at the Battle of Fontenoy of 1745. He ceded New France in North America to Spain and Great Britain at the conclusion of the disastrous Seven Years' War in 1763. He incorporated the territories of the Duchy of Lorraine and the Corsican Republic into the Kingdom of France. He was succeeded in 1774 by his grandson Louis XVI, who was executed by guillotine during the French Revolution. Two of his other grandsons, Louis XVIII and Charles X, occupied the throne of France after the fall of Napoleon I. Historians generally give his reign very low marks, especially as wars drained the treasury and set the stage for the governmental collapse and French Revolution in the 1780s. Louis XV was the great-grandson of Louis XIV and the third son of the Duke of Burgundy (1682–1712), and his wife Marie Adélaïde of Savoy, the eldest daughter of Victor Amadeus II, Duke of Savoy. He was born in the Palace of Versailles on 15 February 1710. When he was born, he was named the Duke of Anjou. The possibility of his becoming King seemed very remote; the King's oldest son and heir, Louis Le Grand Dauphin, Louis's father and his elder surviving brother were ahead of him in the succession. However, the Grand Dauphin died of smallpox on 14 April 1711. On 12 February 1712 the mother of Louis, Marie Adélaïde, was stricken with measles and died, followed on 18 February by Louis's father, the former Duke of Burgundy, who was next in line for the throne. On 7 March, it was found that both Louis and his older brother, the former Duke of Brittany, had the measles. The two brothers were treated in the traditional way, with bleeding. On the night of 8–9 March, the new Dauphin died from the combination of the disease and the treatment. The governess of Louis, Madame de Ventadour, would not allow the doctors to bleed Louis further; he was very ill but survived. When Louis XIV died on 1 September 1715, Louis, at the age of five, inherited the throne. The Ordinance of Vincennes from 1374 required that the kingdom be governed by a regent until Louis reached the age of thirteen. The title of Regent was given to his nearest relative, his cousin Philippe, the Duke of Orleans. Louis XIV, however, distrusted Philippe, who was a renowned soldier, but was regarded by the King as an atheist and libertine. The King referred privately to Philippe as a Fanfaron des crimes ("braggart of crimes"). Louis XIV wanted France to be ruled by his favorite but illegitimate son, Duke of Maine (illegitimate son of Louis XIV and Madame de Montespan), who was in the council. In August 1714, shortly before his own death, the King rewrote his will to restrict the powers of the regent; it stipulated that the nation was to be governed by a Regency Council made up of fourteen members until the new king reached the age of thirteen. 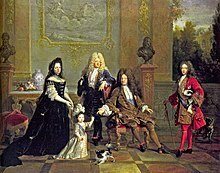 Philippe, nephew of Louis XIV, was named president of the council, but other members included the Duke of Maine and his allies. Decisions were to be made by majority vote, meaning that the Regent could be outvoted by Maine's party. Orléans saw the trap, and immediately after the death of the King, he went to the Parlement of Paris, an assembly of nobles where he had many allies, and had the Parlement annul the King's will. 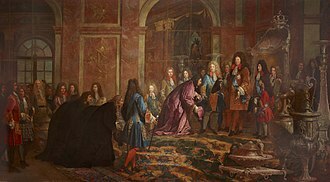 In exchange for their support, he restored to the Parlement its droit de remontrance (right of remonstrance) – the right to challenge the King's decisions, which had been removed by Louis XIV. The droit de remontrance would impair the monarchy's functioning and marked the beginning of a conflict between the Parlement and King which eventually led to the French Revolution in 1789. On 9 September 1715, the Regent had the young King transported away from the court in Versailles to Paris, where the Regent had his own residence in the Palais Royal. 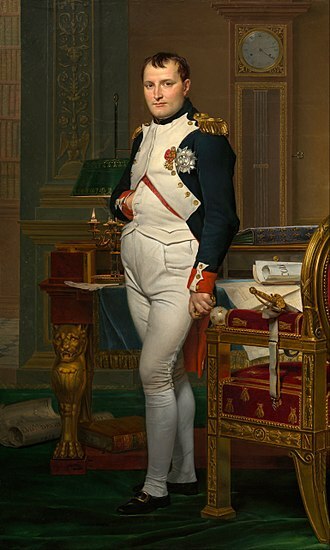 On 12 September, he performed his first official act, opening the first lit de justice of his reign at the Palais Royal. From September 1715 until January 1716 he lived in the Château de Vincennes, before moving to the Tuileries Palace. 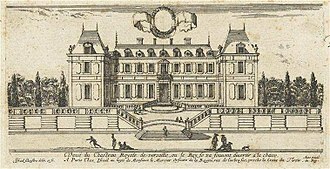 In February 1717, when he reached the age of seven, he was taken from his governess Madame Ventadour and placed in the care of François de Villeroy, the 73-year-old Duke and Maréchal de France, named as his governor in Louis XIV's will of August 1714. Villeroy instructed the young King in court etiquette, taught him how to review a regiment, and how to receive royal visitors. 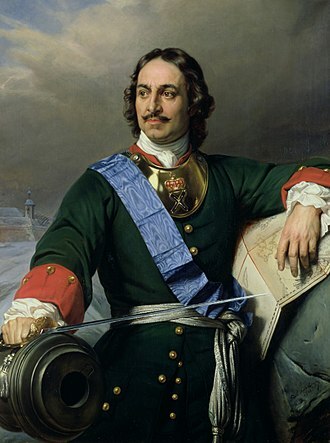 His guests included the Russian Tsar Peter the Great in 1717; contrary to ordinary protocol, the two-meter-tall Tsar picked up Louis and kissed him. Louis also learned the skills of horseback riding and hunting, which became the great passion of the young King. In 1720, following the example of Louis XIV, Villeroy had the young Louis dance in public in two ballets at the Tuileries Palace on 24 February 1720, and again in The Ballet des Elements on 31 December 1721. The shy Louis evidently did not enjoy the experience; he never danced in another ballet. The King's tutor was the Abbé André-Hercule de Fleury, the bishop of Fréjus (and later to become Cardinal de Fleury), who saw that he was instructed in Latin, Italian, history and geography, astronomy, mathematics and drawing, and cartography. The King charmed the visiting Russian Tsar by identifying the major rivers, cities and geographic features of Russia. In his later life the King retained his passion for science and geography; he created departments in physics (1769) and mechanics (1773) at the Collège de France., and he sponsored the first complete and accurate map of France, the Cartes de Cassini. Besides his academic studies, He received a practical education in government. Beginning in 1720 he attended the regular meetings of the Regency Council. One economic crisis disrupted the Regency; the Scottish economist and banker John Law was named controller-general of finances. In May 1716, he opened the Banque Générale Privée ("General Private Bank"), which soon became the Banque Royal. It was mostly funded by the government, and was one of the earliest banks to issue paper money, which he promised could be exchanged for gold. He also persuaded wealthy Parisians to invest in the Mississippi Company, a scheme for the colonization of French territory of Louisiana. The stock of the company first soared and then collapsed in 1720, taking the bank with it. Law fled France, and wealthy Parisians became reluctant make further investments or to trust any currency but gold. In 1719, France, in alliance with Britain and the Dutch Republic, declared war on Spain. Spain was defeated on both land and sea, and quickly sought peace. A French-Spanish treaty was signed on 27 March 1721. 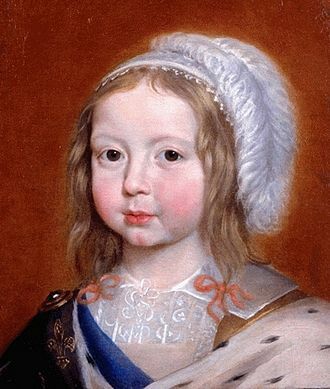 The two governments proposed to unite their royal families by marrying Louis to Mariana Victoria of Spain, the seven-year-old daughter of Philip V of Spain, who was himself grandson of Louis XIV. The marriage contract was signed on 25 November, and the future bride came to France and took up residence in the Louvre. However, the Regent decided she was too young to have children soon enough, and she was sent back to Spain. During the rest of Regency France was at peace, and in 1720, the Regent decreed an official silence on religious conflicts. Montesquieu and Voltaire published their first works, and the Age of Enlightenment in France quietly began. On 15 June 1722, as Louis approached his thirteenth birthday, the year of his majority, he left Paris and moved back to Versailles, where he had happy memories of his childhood, but where he was far from the reach of public opinion. On 25 October, Louis was crowned King at the Cathedral of Reims. On 15 February 1723, the king's majority was declared by the Parlement of Paris, officially ending the regency. In the beginning of Louis's reign, the Duke of Orleans continued to manage the government, and took the title of Prime Minister in August 1723, but while visiting his mistress, far from the court and medical care, Orleans died in December of the same year. 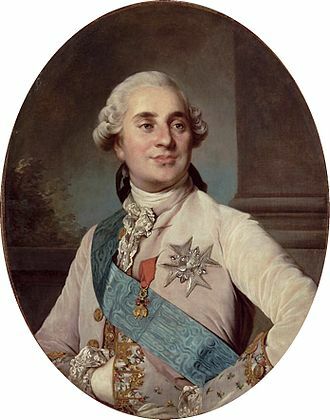 Following the advice of his preceptor Fleury, Louis XV appointed his cousin Louis Henri, Duke of Bourbon, to replace the late Duke of Orléans as prime minister. One of the first priorities of the Duke of Bourbon was to find a bride for the King, to assure the continuity of the monarchy, and especially to prevent the succession to the throne of the Orleans branch of the family, the rivals of his branch. The 21-year-old Marie Leszczyńska, daughter of Stanisław I, the deposed king of Poland, was chosen. The marriage was celebrated in September 1725 when the king was 15. Between 1727 and 1737, she gave the king ten children, eight girls and two boys, of whom one survived: the Dauphin Louis (1729–1765). The birth of a long-awaited heir, which ensured the survival of the dynasty for the first time since 1712, was welcomed with celebration in all spheres of French society. In 1747 the Dauphin married Maria Josephina of Saxony, who gave birth to the next three Kings of France: Louis XVI, Louis XVIII, and Charles X. The queen was pious and timid, and spent most of her time secluded with her own courtiers. She was a musician, read extensively, and played social games with her courtiers. After 1737 she did not share her bed with the King. She was deeply upset by the death of her son the Dauphin in 1765, and died on 24 June 1768. 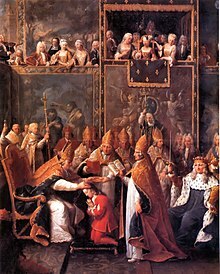 One of the first serious conflicts that disturbed the early reign of Louis XV was a battle within the Catholic Church over a Papal Bull called Unigenitus. The Bull was requested by Louis XIV of Pope Clement XI and granted on 8 September 1713. It was a fierce condemnation of Jansenism, a Catholic doctrine based largely on the teachings of Saint Augustine. Jansenism had attracted many important followers in France, including the philosopher Blaise Pascal, the poet Racine, aristocrats including Madame de Sévigné and Madame de Lafayette. The faculty of the Sorbonne, then primarily a theological college and a center of Jansenism, demanded clarification from the government. The Jansenists were allied with the Gallicans, theologians who wanted the Catholic Church in France to be distinctly French. The opposition to Unigenitus was particularly strong among the members of the Parlement de Paris, the assembly of the nobles. 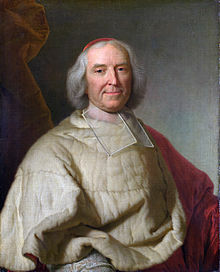 Despite the protests, on 24 March 1730 Cardinal Fleury persuaded the King to issue a decree that Unigenitus was the law of France as well as that of the Church. The government and church imposed repressive measures. On 27 April 1732 the Archbishop of Paris threatened to excommunicate any member of the Church who read the Jansenist journal, Nouvelles Ecclésiastiques. The Parlement was strictly forbidden to discuss religious questions, preventing them from opposing the Unigenitus bull. Priests who did not accept Unigenitus were denied the authority to administer last rites to the dying. A new tax, the cinquantième, was levied against religious figures who had previously been exempted from taxation. Jansenists and Protestants were threatened with prison and banishment. As a result of these repressive acts, religious dissent remained an issue throughout the King's reign. Tension grew between the Duke of Bourbon and Cardinal de Fleury over the King's favor. The Duke's rigid and cold personality did not appeal to the young King, who turned to his old tutor for advice on how to run the affairs of state. When the King insisted that de Fleury was to be included in all meetings between himself and the Duke of Bourbon, the Duke was infuriated and began to undermine de Fleury's position at court. When the King became aware of the Duke's intrigue, he abruptly dismissed him and replaced him with de Fleury. From 1726 until his death in 1743, Fleury effectively ruled France with the king's assent. Fleury dictated the choices to be made, and encouraged the king's indecision and flattered his pride. He forbade the king to discuss politics with the Queen. In order to save on court expenses, he sent the youngest four daughters of the king to be educated at the Abbey of Fontevrault. On the surface it was the most peaceful and prosperous period of the reign of Louis XV, but it was built upon a growing volcano of opposition, particularly from the noble members of the Parlements, who saw their privileges and power reduced. Fleury made the Papal doctrine Unigenitus part of French law and forbade any debate in Parlement, which caused the silent opposition to grow. He also downplayed the importance of the French Navy, which would prove be a fatal mistake in future conflicts. Fleury showed the King the virtues of a stable government; he kept the same Minister of War, Bauyn d'Angervilliers, and controller of the currency, Philibert Orry, for twelve years, and his minister of foreign affairs, Germain Louis Chauvelin, for ten years. His minister of the Navy and household of the King, the Conte de Maurepas, was in office the entire period. In all he had just thirteen ministers over the course of nineteen years, while the King, in his last thirty-one years, employed forty-three. Louis's Controller-General of Finances Michel Robert Le Peletier des Forts (1726–1730), stabilized the French currency, though he was expelled for enriching himself in 1730. His successor, Philibert Orry, substantially reduced the debt caused by the War of the Spanish Succession, and simplified and made more fair the tax system, though he still had to depend upon the unpopular dixieme, or tax of the tenth of the revenue of every citizen. Orry managed, in the last two years of Fleury's government, to balance the royal budget, an accomplishment never again repeated during the rest of the reign. Fleury's government expanded commerce, both within France and with the rest of the world. Transportation and shipping were improved with the completion of the Saint-Quentin canal (linking the Oise and Somme rivers) in 1738, which was later extended to the Escaut River and the Low Countries, and the systematic building of a national road network. By the middle of the 18th century, France had the most modern and extensive road network in the world. The Council of Commerce stimulated trade, and French foreign maritime trade increased from 80 to 308 million livres between 1716 and 1748. The Government continued its policy of religious repression, aimed at the Jansenists and the so-called "Gallicans" in Parlements of nobles. After the dismissal of 139 members of provincial parlements for opposing the official government and papal doctrine of Unigenitus, the Parlement of Paris had to register the Unigenitus papal bull and was forbidden to hear religious cases in the future. In the first years of his governance, Fleury and his foreign minister Germain Louis Chauvelin sought to maintain the peace by maintaining the French alliance with England, despite their long history of antagonism and their colonial rivalry in North America and the West Indies. They also rebuilt the alliance with Spain, which had been shaken by the anger of the Spanish King when Louis refused to marry the Spanish infanta. The birth of the king's male heir in 1729 dispelled the risks of a succession crisis in France. However, new powers were emerging on the European stage, particularly Russia under Peter the Great and his successor, Catherine I of Russia. Prussia and the Holy Roman Empire of Charles VI were assembling a scattered but impressive empire far as Serbia in Eastern Europe with territories taken from Ottoman Turkey, and by marriage acquired the Catholic Netherlands (including Belgium), Milan and the Kingdom of Naples. A new coalition against France began to assemble in eastern Europe, sealed by a defensive treaty signed on 6 August 1726 between Prussia, Russia and Austria. In 1732 the coalition came into direct conflict with France over the succession to the Polish throne. The King of Poland and Elector of Saxony, Augustus II, was dying, and his official heir was Stanisław Leszczyński, the father of the Queen of France. In the same year Russia, Prussia and Austria signed a secret agreement to exclude Stanisław from the throne, and put forward another candidate, Augustus III, son of the dead Polish king. The death of Augustus on 1 February 1733, with two heirs claiming the throne, launched the War of the Polish Succession. Stanislaw traveled to Warsaw, where he was crowned King of Poland and Grand Duke of Lithuania on 12 September. The Tsarina of Russia immediately marched her regiments into Poland to support her candidate. Stanislaw was forced to flee to the fortified port of Danzig (now Gdańsk), while on 5 October Augustus III was crowned in Warsaw. Cardinal Fleury responded with a carefully orchestrated campaign of diplomacy. He first won assurances from Britain and Holland that they would not interfere in the war, while lining up alliances with Spain and the King of Sardinia in exchange for pieces of the Hapsburg Empire. On 10 October 1733, Louis formally declared war against Austria. A French army occupied the Duchy of Lorraine and then Alsace, while another crossed the Alps and captured Milan on 3 November, handing it over to the King of Sardinia. Fleury was less energetic in his actions to restore the Polish throne to Stanlslaw, who was blockaded by the Russian navy and army in Danzig. Instead of sending the largest part of the French fleet from its station off Copenhagen to Danzig, he ordered it to return to Brest and sent only a small squadron with two thousand soldiers, which after a fierce action was sunk by the Russians. On 3 July Stanislaw was forced to flee again, in disguise, to Prussia, where he became the guest of King Frederick William I of Prussia in the castle of Koenigsburg. To bring the war to an end, Fleury and Charles VI negotiated an ingenious diplomatic solution. Francis III, Duke of Lorraine, left Lorraine for Vienna, where he married Maria Theresa, the heir presumptive to the Hapsburg thrones. The vacant throne of Lorraine was to be occupied by Stanislav, who abandoned his claim to the Polish throne. Upon the death of Stanislaw, the Duchy of Lorraine and Bar would become part of France. Francis, as the future emperor, would be compensated for the loss of Lorraine by the granting of the Duchy of Tuscany. The King of Sardinia would be compensated with certain territories in Lombardy; while the Sardinians would return Naples, in exchange for Parma and Plaisance. The marriage of Francis of Lorraine and Maria Theresa took place in 1736, and the other exchanges took place in turn. With the death of Stanislav in 1766, Lorraine and the neighboring Duchy of Bar became part of France. In September 1739, Fleury scored another diplomatic success. France's mediation in the war between the Holy Roman Empire and the Ottoman Empire led to the Treaty of Belgrade (September 1739), which favoured the Ottoman Empire, beneficiary of a Franco-Ottoman alliance against the Habsburgs since the early 16th century. As a result, the Ottoman Empire in 1740 renewed the French capitulations, which marked the supremacy of French trade in the Middle East. With these successes, Louis XV's prestige reached its highest point. In 1740 William I, the King of Prussia declared "Since the Treaty of Vienna France is the arbiter of Europe." On 29 October 1740, a courier brought the news to the King, who was hunting in Fontainebleau, that the Emperor Charles VI was dead, and his daughter Maria Theresa was set to succeed him. After two days of reflection, Louis declared, "In these circumstances, I don't want to get involved at all. I will remain with my hands in my pockets, unless of course they want to elect a protestant emperor." This attitude did not please France's allies, who saw an opportunity to take parts of the Habsburg empire, or Louis's generals, who for a century had won glory fighting Austria. The King of Prussia had died on 31 May and was succeeded by his son Frederick the Great, a military genius with ambitions to expand Prussia's borders. The elector of Bavaria, supported by Frederick, challenged the succession of Maria Theresa, and on 17 December 1740 Frederick invaded the Austrian province of Silesia. The elderly Cardinal Fleury had too little energy left to oppose this war. 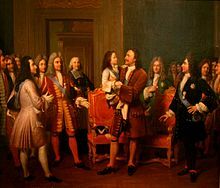 Fleury sent his highest ranking general, Charles Louis Auguste Fouquet, duc de Belle-Isle, the Maréchal de Belle-Isle, the grandson of Fouquet, the famous disgraced controller of finances of Louis XIV, as his ambassador to the Diet of Frankfurt, with instructions to avoid a war by supporting the candidacy of the Elector of Bavaria to the Austrian throne. Instead, the Maréchal, who detested the Austrians, made an agreement to join with the Prussians against Austria, and the war began. French and Bavarian armies quickly captured Linz and laid siege to Prague. On 10 April 1741 Frederick won a major victory over the Austrians at the Battle of Molwitz. On 18 May, Fleury assembled a new alliance combining France, Spain and Bavaria, later joined by Poland and Sardinia. However, in 1742, the balance of the war shifted against France. The German-born British King, George II, who was also the Elector of Hanover, joined the war on the side of Austria and personally took charge of his soldiers fighting the French in Germany. Maria Theresa's Hungarian army recaptured Linz and marched into Bavaria as far as Munich. In June, Frederick of Prussia withdrew from the alliance with France, after gaining the crown of Silesia from the Austrians. Belleville had to abandon Prague, with a loss of eight thousand men. For seven years, France was engaged in a costly war with constantly shifting alliances. Orry, the superintendent of French finance, was forced to reinstate the highly unpopular dixieme tax to fund the war. Cardinal de Fleury did not live to see the end of the conflict; he died on 29 January 1743, and thereafter Louis ruled alone. The war in Germany was not going well; the French and Bavarian forces were faced with the combined armies of Austria, Saxony, Holland, Sardinia and Hanover. The army of the Duke of Noailles was defeated by a force of British, Hessian and Hanover soldiers led by George II at the battle of Dettingen, and in September French forces were compelled to abandon Germany. In 1744, the Netherlands became the primary battlefield of the war, and the French position began to improve. Frederick the Great decided to rejoin the war on the French side. Louis XV left Versailles to lead his armies in the Netherlands in person, and French field command was given to the German-born Maréchal Maurice de Saxe, a highly competent general. 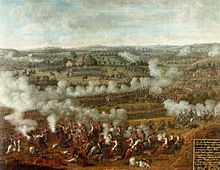 At the Battle of Fontenoy on 11 May 1745, Louis, accompanied by his young son the Dauphin, came under fire for the first time and witnessed a French victory over combined British, Dutch and Austrian forces. When the Dauphin became excited at the sight of so many dead enemy soldiers, the King told him, "You see what a victory costs. The blood of our enemies is still the blood of men. The true glory is to spare it." Saxe went on to win further victories at Rocoux (1746) and Lauffeld (1747). In 1746 French forces besieged and occupied Brussels, which Louis entered in triumph. The King gave de Saxe the Chateau de Chambord in the Loire Valley as a reward for his victories. After Fleury's death in January 1743, his war minister, the Duke of Noailles, showed the King a letter that Louis XIV had written to his grandson, Philip V of Spain; it counseled: "Don't allow yourself to be governed; be the master. Never have a favorite or a prime minister. Listen, consult your Council, but decide yourself. God, who made you King, will give you all the guidance you need, as long as you have good intentions." Louis followed this advice and decided to govern without a prime minister. Two of his ministers took the most prominent positions in his government; the finance minister, Jean Baptiste de Machault D'Arnouville, and the minister of the armies, Comte d'Argenson. With the end of the war, Louis decided to take the opportunity to reduce the debt and modernize the system of taxation of the Kingdom. The package of reforms was put together by his finance minister D'Arnouville and was approved by the King and presented in two decrees issued in May, 1749. The first measure was an issue of bonds, paying five percent interest, to pay off the 36 million livres of debt caused by the cost of the war. This new measure was an immediate success. The second measure was the abolition of the dixième, a tax of ten percent of revenue, which had been created to finance the war, and its replacement by the vingtième, a tax of five percent on net revenue, which, unlike the dixième, taxed the income of all French citizens, including for the first time the income from the property of the clergy and the nobility. While the new tax was supported by many, including Voltaire, it met immediate and fierce resistance from both the nobility and the church. When on 5 May 1749 it was presented for formal registration to the Parlement of Paris, the assembly composed of high nobles and wealthy Parisians who had purchased seats, it was rejected by a vote of one hundred six to forty nine; the majority asked for more time to consider the project. The King responded by demanding immediate registration, which the Parlement reluctantly granted on 19 May. Resistance to the new measures grew with the church and in the provinces, which had their own parlements. While the Parlements of Burgundy, Provence and Artois bowed to the King's demands, Brittany and Languedoc refused. The royal government closed down the Parlement of Brittany, ordered the members of the Parlement of Languedoc to return to their estates and parishes, and took direct control of the Provence. Within Paris, the battle between the King and Parlement was fought over the status of the Hôpital Général, a semi-religious organization which operated six different hospitals and shelters in Paris, with a staff of some five thousand persons. Many of the hospital staff and officials were Jansenists, while the board of directors of the hospital included many prominent members of the Parlement of Paris. In 1749, the King decided to purge the hospital of Jansenists and corruption, appointed a new "Supérieure" against the will of the administrators, who resigned, then appointed four temporary administrators, and asked the First President of the Parlement of Paris, René Nicolas Charles Augustin de Maupeou, to implement his decree for the reorganization of the hospital. De Maupeou refused to carry out the decree without the authorization of the Parlement, and the Parlement, without taking any action, went on vacation. On 20 November, when the Parlement returned, the King again summoned de Maupeou for an audience and again demanded action without delay. This time the Parlement members met but refused to discuss the Hospital. On 28 January 1752, the King instructed the Grand Council to change the administration of the Hospital without the approval of the Parlement. Voltaire, describing the affair, wrote, "Never before has such a small affair caused such a great emotion of the spirit." It was the first overt disobedience of the legislature against the King, and one of the first signs that the Parlement believed it, not the King, was the legitimate source of laws in the nation. The King's original plans to tax the church also ran into difficulty. A royal decree ordered all the clergy to submit a declaration of their revenue by 17 February 1751, but that day passed without any declarations given. Instead it became known that the King had quietly issued a new decree in December, 1750, canceling the tax and relying again, entirely, on the "don gratuit", the voluntary donation by the church of 1,500,000 livres. Under the new decree, instead of a tax, the church would each year collect a comparable sum and donate it freely to the government. His support for the church came both from the teachings of his tutor, Cardinal Fleury, and his gratitude to Archbishop de Beaumont, who defended him against the attacks of the Jansenists and the criticisms of the Parlement, and the Archbishop's tolerance of the King's own personal life and mistresses. Despite the French victories, the war dragged on both in the Netherlands and in Italy, where Maréchal Belle-Isle was besieging the Austrians in Genoa. By the summer of 1747 France occupied the entire Austrian Netherlands (modern-day Belgium). In March, 1748, Louis proposed a conference in Aix-en-Chapelle to bring the war to an end. The process was advanced by the capture of Maastricht by the Maréchal de Saxe on 10 April 1748. Britain, pressed by the threat of a French invasion of rest of the Netherlands, urged a quick settlement, despite objections from Austria and Sardinina. The Treaty was quickly negotiated and signed by all the parties in September and October 1748. Louis was also eager for a quick settlement, because the naval war with Britain was extremely costly to French maritime trade. The proposition of Louis was surprisingly generous; in the Treaty of Aix-la-Chapelle, Louis offered to return all of the territories he had conquered in the Netherlands to the Austrians, Maastricht to the Dutch, Nice and Savoy to the Sardinians, and Madras in India to the English. The Austrians would give the Duchy of Parma and some other territory to the infant Spanish King, Philippe, while Britain would give France Louisburg and the island of Cape Breton, both in Nova Scotia. France also agreed to expel the Stuart pretender to the English throne from its territory. The end of the war had caused celebration in Paris, but the publication of the details of the treaty on 14 January 1749 caused dismay and anger. The Stuart pretender to the British throne refused to leave Paris and was acclaimed by the Parisians. He was finally arrested on 10 December 1748, and transported by force to Switzerland. The French military commanders, including De Saxe, were furious about giving up the Spanish Netherlands. The King's defense of his action was practical: he did not want the Netherlands to be a permanent source of contention between France and other powers; he also felt that France had already reached its proper borders, and it was better to cultivate its prosperity rather than make it larger. His basis was also religious; he had been taught by Fleury that the Seventh Commandment forbade taking the property of others by fraud or violence. Louis often cited a Latin maxim declaring, "if anyone who asks by what means he can best defend a kingdom, the answer is, by never wishing to augment it." He also received support from Voltaire, who wrote, "It seems better, and even more useful for the court of France to think about the happiness of its allies, rather than to be given two or three Flemish towns which would have been the eternal object of jealousy." The King did not have the communication skills to explain his decision to the French public, and did not see any need to do so. The news that the king had restored the Southern Netherlands to Austria was met with disbelief and bitterness. The French obtained so little of what they had fought for that they adopted the expressions Bête comme la paix ("Stupid as the peace") and Travailler pour le roi de Prusse ("To work for the king of Prussia", i.e. working for nothing). Between 1727 and 1737, the Queen gave birth to two sons and eight daughters. The first son, born 4 September 1729, became the dauphin and heir to the throne, though he did not live to rule. The second son, the Duke of Anjou, born in 1730, died in 1733. Only the two oldest daughters were raised at Versailles; the others were sent away to be raised at the Abbey of Fontevrault. The first-born daughter, called Madame Premiere, was married to the infant Philip of Spain, the second son of Philip of Spain and Elisabeth Farnese. Louis had been very much in love with the Queen, and they were inseparable in the early years of his reign, but as his family grew and the Queen was constantly pregnant or exhausted by her maternities, he began to look elsewhere. He first became attached to one of the ladies of the Queen's court, Louise Julie de Mailly, who was the same age as he and from an ancient noble family. Without courtship or ceremony he made her his mistress and raised her to the rank of Duchess. The Duke of Luynes commented on the King's behavior: "The King loves women, and yet there is absolutely no gallantry in his spirit." In 1738, after the Queen lost an unborn child, her doctors forbade her to have relations with the King for a time. The King was offended by her refusal and thereafter never shared her bed. Acknowledging that he was committing adultery, Louis refused thereafter to go to confession and to take the sacrament. The Cardinal de Fleury tried to persuade him to confess and to give up his mistress, but without success. In 1740, the King turned his attentions to the sister of Louise-Joulie, Pauline-Félicité, the Marquise de Vintimille, who was married. Pauline-Félicité became pregnant by the King at the end of the year. Both the child and mother died in childbirth. The King went into mourning and for a time turned to religion for consolation. When the King had finally recovered his spirits, the Countess of Mailly unwisely introduced the King to her youngest sister, Marie Anne de Mailly, the recent widow of the Marquis de Tournelle. The King was immediately attracted to Marie-Anne; however, she insisted that he expel her older sister from the Court before she would become his mistress. The King gave in, and on 4 October 1742, Marie-Anne was named a Lady of the Court of the Queen, and a month later the King ordered her older sister to leave the Court and to live in Paris. The King made his new mistress the Duchess of Châteauroux. The King's relationships with the three sisters became a subject of gossip in the court and in Paris, where a popular comic poem was recited, ending: "Choosing an entire family – is that being unfaithful, or constant?" 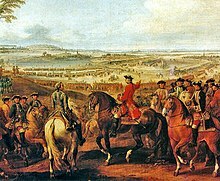 In June 1744, the king left Versailles for the front in order to take personal command of his armies fighting in the War of the Austrian Succession. This otherwise popular move was marred by the king's indiscreet decision to bring along Marie-Anne de Mailly. In August, the king fell gravely ill in Metz. Death appeared imminent, and public prayers were held all across France to ask God to save the king from death. The king's chaplain refused to give him absolution unless the king renounced his mistress, which he did; Marie-Anne left the court but was reunited with the King a few months later. The king's confession was distributed publicly, which embarrassed him and tarnished the prestige of the monarchy. Although Louis' recovery earned him the epithet "well-beloved" from a public relieved by his survival, the events at Metz diminished his standing. 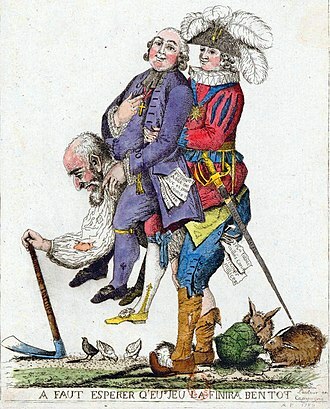 The military successes of the War of the Austrian Succession inclined the French public to overlook Louis' adulteries, but after 1748, in the wake of the anger over the terms of the Treaty of Aix-la-Chapelle, pamphlets against the king's mistresses were widely distributed and read. Jeanne-Antoinette Poisson, better known as Madame de Pompadour, was the most famous and influential of the mistresses of Louis XV. She was the illegitimate daughter of a Paris fernier-general, and was married to a banker, Charles Guillaume Lenormant d'Étoiles. She was noticed by the King following one of his hunts, and formally met him at a costume ball celebrating carnival in 1745. By July, she was the King's mistress and was formally given the title of the Marquise de Pompadour. For the next twenty years she was the King's confidante and advisor, helping him choose or demote ministers. Her opinions led to the downfall of some very competent ministers, including Machault d'Aurnouville and the Marquis d'Argenson, and to the promotion of a number of incompetent military commanders. Her most successful choice was the promotion of The Duke de Choiseul, who became one of the King's most effective ministers. She ceased to be the King's mistress in 1750 but remained his closest advisor. She was promoted to Duchess in 1752, and Dame of the Queen's Palace in 1756, and was an important patron of music and the arts, as well as religious establishments. She remained close to the King until her death in 1764. He was devastated and remained in seclusion for several weeks after she died. The peace achieved by Louis with the Treaty of Aix-la-Chapelle lasted only seven years. 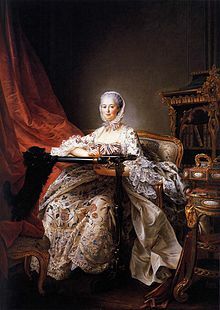 At the end of August, 1755, Marie Therese, the Empress of Austria, discreetly wrote a letter to Louis XV, which was passed by the Austrian ambassador in Paris to Madame de Pomapadour for delivery to the King. 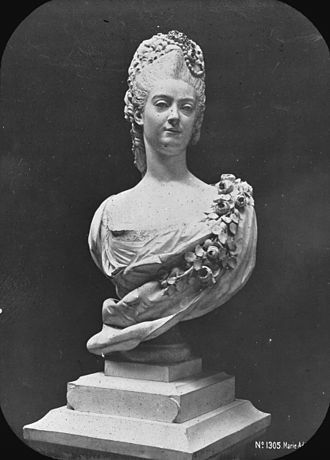 She proposed a secret alliance between Austria and France, to meet the threats of the growing power of Prussia, which was still formally an ally of France, and Britain. Map of New France (blue color) in 1750, before the French and Indian War (1754 to 1763), that was part of the Seven Years' War. In the New World, conflict had already begun between Britain and France. The French colonies were at an enormous demographic disadvantage; there were less than 70,000 French colonists spread over a territory from the Saint Lawrence River to the Great Lakes extending down the Ohio and Mississippi River valleys down to Louisiana (named for Louis's grandfather, Louis XIV); compared with 300,000 in the British colonies. To defend its territories. France had constructed Fort Duquesne to defend their frontier against the Americans; Britain sent the young George Washington with a small force to construct his own fortification, Fort Necessity, nearby. In 1752, after the killing of French envoy, Joseph Coulon de Jumonville, the French sent reinforcements and compelled Washington and his men to withdraw. The undeclared French and Indian War followed, with Britain treating the French colonies as an enemy. In 1755, the British seized 300 French merchant ships. In January 1756, Louis sent an ultimatum to London, which was rejected by the British government. A few months later, on 16 January 1756, Frederick the Great of Prussia signed the Treaty of Westminster, allying himself with Britain. 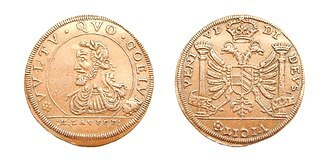 Louis responded immediately on 1 May 1756 by sealing a formal defensive treaty with Austria, the first Treaty of Versailles, offering to defend Austria in case of a Prussian attack. This was a complete reversal of France's historic conflict with Austria, which had been underway for nearly two hundred years, and it was shocking to many in the French Court. Louis declared war on England on 9 June 1756, and success seemed certain. A French fleet in the Mediterranean defeated the British at the Battle of Minorca of 1756, and captured that island. The French army greatly outnumbered the British and Prussians on the continent. The French army won the surrender of the British forces of the Duke of Comberland at Closterseven. Another French army invaded Saxony and Hanover, the ancestral home of King George II. However, the best French commander, Maurice de Saxe, had died two years after the War of the Austrian Succession, and the new French commanders, Charles, Prince of Soubise, the Duke D'Estrees and the Duke de Broglie detested each other, and were rarely willing to cooperate. 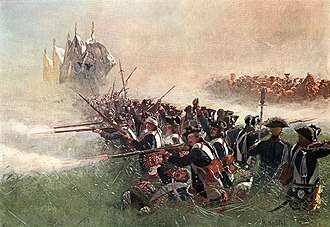 In August Frederick of Prussia made a lightning strike into Saxony and on 5 November 1757, though outnumbered by the French nearly two to one, decisively defeated the army of the Prince de Soubise at the Battle of Rossbach. The new British Prime Minister, William Pitt, named a new commander, Duke Ferdinand of Brunswick-Wolfenbüttel, and the French armies were gradually pushed back to the Rhine, and defeated again at the Battle of Crefield on 23 June. Thereafter, Britain and Prussia held the upper hand, tying down the French army in the German states along the Rhine. British naval supremacy prevented France from reinforcing its colonies overseas, and British naval squadrons raided the French coast at Cancale and Le Havre and landed on the Ile d'Aix and Le Havre. In 1759 the British seized Martinique and Guadeloupe in the West Indies, and captured Port Louis and Quebec. A series of naval defeats forced Louis to abandon plans for invasion of Britain. In India, the French colony at Pondicherry was surrounded by the British, and surrendered the following year. On 8 September 1760, Montreal surrendered, bringing to an end French rule in Canada. Martinique fell to the British in 1762. On 5 January 1757, as the King was getting into his carriage in the courtyard of the Grand Trianon Versailles, a demented man, Robert-François Damiens, pushed through the King's guards and attacked the King, stabbing him in the side with a small knife. The King's guards seized Damien, and the King ordered them to hold him but not harm him. The King walked up the steps to his rooms at the Trianon, where he found he was bleeding seriously. He summoned his doctor and a priest, and then fainted. Louis was saved from greater harm by the thickness of the winter clothing he was wearing. When the news reached Paris, anxious crowds gathered in the streets. The Pope and the Empress of Austria and King George II, with whom France was at war, sent messages hoping for his swift recovery. Damien was tortured to see if he had accomplices, and was tried before the Parlement of Paris, which had been the most vocal critic of the King. 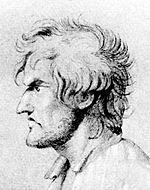 The Parlement demonstrated its loyalty to the King by sentencing Damiens to the most severe possible penalty; On 28–29 March 1757 Damien was executed on the Place de Grève in Paris by drawing and quartering, following which his body was burned on a bonfire. The house where he was born was burned down, his father, wife and daughter were banished from France, and his brothers and sisters were required to change their name. The King recovered physically very quickly, but the attack had a depressive effect on his spirits. One of his chief courtiers, Duford de Chervrny, wrote afterwards: "it was easy to see that when members of the court congratulated him on his recovery, he replied, 'yes, the body is going well', but touched his head and said, 'but this goes badly, and this is impossible to heal.' After the assassination attempt, the King invited his heir, the Dauphin, to attend all of the Royal Council meetings, and quietly closed down the chateau at Versailles where he had met with his short-term mistresses." The Parlements were assemblies of nobles in Paris and older regions of France, whose members served as magistrates and judged civil cases. Their members included both hereditary nobles and wealthy citizens who had purchased their seats. Several of the Parlements, such as those of Rouen and Provence, had been in existence for centuries, and saw themselves as the legitimate governments in their provinces. As Louis reorganized the government and appointed his own intendants in the provinces, the authority and prestige of the Parlements decreased, and price of the seats dropped. In Franche-Comté, Bordelaise and Rouen, the Parlements refused to follow the decrees of the royal intendants. When the intendants attempted to assert their authority and collect taxes from all classes, the Parlements went on strike, refusing to proceed with the judgment of civil cases. The civil justice system came to a halt. In 1761, the provincial Parlement of Normandy in Rouen wrote a protest to the King, explaining that the King had the exclusive power to tax, but the Parlement had the exclusive right to collect the money. The King rejected the explanation and overruled the Parlement, banished some of his most provocative Parliament members to their estates. For the rest of his reign, the Parlements swore allegiance to the King, but took every opportunity to resist his new taxes and the King's authority. This was one of the seeds of resistance to the King's authority that was to turn into a Revolution less than thirty years later. The Comte d'Argenson served as the Minister of War from 1743 until 1747. He was an advocate of the continuation of the absolute monarchy in the style of Louis XIV. He was responsible for creating the first school for engineers in France at Mézières (1749–50); thanks to the trained engineers, France had the finest system of roads and bridges in Europe. 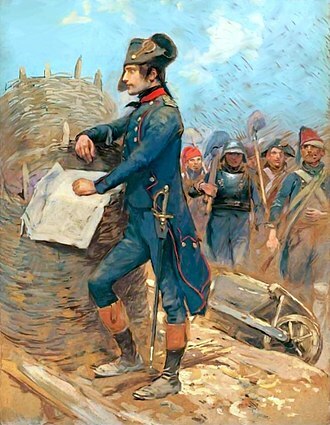 He also established the military academy, the École Militaire, and, following the model of the Prussians, established military training camps and exercises, and helped rebuild French military power. Machaud D'Arnouville was brought into the government with the sponsorship of d'Argenson, but the two men gradually became rivals and enemies. D'Arnouville was the Controller of Finances from 1745 to 1754, then Minister of Navy from 1754 to 1757. He was the creator of the unpopular "Vingtieme" tax (1749), which taxed all citizens, including the nobility, at the same rate, and also freed the prices of grain (1754), which initially greatly increased agricultural production. The fluctuation of grain prices would eventually become a factor in the French Revolution. On 1 February 1757, the King abruptly dismissed both d'Arnouville and d'Argenson, and exiled them to their estates. The King held them responsible for not preventing the assassination attempt, and their government displeased Madame de Pompadour. Louis named the Duke de Choiseul as his minister of foreign affairs on 3 December 1758, following the recommendation of Madame de Pompadour. In 1763, he became Minister of War, giving the role of minister of foreign affairs to his cousin, the Duc de Praslin. A few months later, he also became the Minister of the Navy, and became the most influential and powerful member of the government. In the council and circles of government, he was the leader of the philisophe faction, which included Madame de Pompadour, which sought to appease the Parlements and the Jansenists. On the diplomatic front, he negotiated a "Family Pact" with the Bourbon monarch of Spain (1761); negotiated the Treaty of Paris in 1761, and completed the integration of Lorraine into France (1766) upon the death of the King's father-in-law Stanisław Leszczyński, Duke of Lorraine. He incorporated Corsica into France (1768), and negotiated the marriage of his grandson, the future Louis XVI with Marie Antoinette (1770). His most notable accomplishment was the reform modernization of the French military, based on the lessons learned during the Seven Years' War. Under Choiseul, the government, rather than the officers, took the responsibility of training, giving uniforms, and training soldiers. The artillery was standardized, and new tactics, based on the Prussian model, were adopted and taught. The Navy in 1763 had been reduced to just 47 vessels and twenty frigates, three times smaller than the British Royal Navy fleet. He launched a major shipbuilding program to construct eighty vessels and forty-five new frigates, which would allow the French fleet, combined with the allied Spanish fleet, to outnumber the Royal Navy. In 1764, at the urging of the Parlement, Madame Pompadour and his foreign minister, the Duc de Chosieul, Louis decided upon the Suppression of Jesuit Order in France. The Jesuits in France numbered 3,500; they had 150 establishments in France, including 85 colleges, which were considered the best in France; their graduates included Voltaire and Diderot. The Confessor of the King, by a tradition dating back to Henry IV, was a Jesuit. Agitation against the Jesuits began in 1760 in the provincial Parlements, where the Gallicans, supporters of a specifically French version of Catholicism, were strong. The complaint against the Jesuits was that they were independent of the authority of the King and the hierarchy of the church in France. The Jesuits had already been expelled from Portugal and its colony of Brazil in 1759, because of conflicts with the government and church hierarchy there. In France, the Parlements had taken the lead in attacking the Jesuits. On 12 February 1762, the Parlement of Rouen declared the Jesuits outside the law, forbid them to hold public positions or to teach, and demanded that they take an oath repudiating their beliefs. Between April and September 1762, the Parlements of Rennes, Bordeaux, Paris and Metz joined in the condemnation, followed in 1763 by Aix, Toulouse, Pau, Dijon and Grenoble. By the end of the year only the Parlements of Besançon, Douai, and the governments of Colmar, Flanders, Alsace and Franche-Compté, plus the Duchy of Lorraine, run by the Queen's father, the former King Stanislas, permitted the Jesuits to function. The campaign against the Jesuits divided the royal household; his son the Dauphin, his daughters and the Queen supported the Jesuits, while Madame de Pompadaour, whose influence in the court was criticized by the Jesuits, wanted them gone. The indecisive King declared two years later that he had made the decision against his own feelings. The Jesuits departed, and were welcomed in Prussia and in Russia. The departure of the Jesuits weakened the church in France, and especially weakened the authority of the King, who, like a constitutional monarch, acted on behalf of the Parliament against his own beliefs. Under the government of Choiseul, the Parlements of several French provinces continued to swear obedience to the King, while refusing to obey his intendents or to accept his new taxes. The Parlement of Franche-Comté in Besançon refused to collect the vingtieme tax imposed by the King to finance the war, claiming that only the Parlement could impose taxes. The King's government immediately dismissed the leaders of the Parlement and confined them to their residences. The Parlement of Normandy immediately supported that of Besançon; it wrote a remonstrance to the King on 5 July 1760, declaring that the Parlements represented all classes: "One King, one law, one Parlement; the law of the kingdom is a sacred pact of your alliance with the French nation; it is a kind of contract which destines the King to reign and the people to obey. In truth, no one except God can compel you to obey this sacred pact... but we can ask you, with respect, with submission... to keep your promises." This was too much for the King. He responded on 31 January 1761 that the Parlement's complaint "contained principles so false and so contrary to my authority and with expressions so indecent, particularly in connection with my Chancellor who only explained to you my wishes... that I send your letter back to you." The Parlement members of Besançon remained in exile. The Parlement of Bordeaux went even further in its resistance to the royal government; in 1757 it brought accusations of corruption against the members of the government of the city of Bergerac, named by the Royal Council of the King. When the Royal Council blocked the pursuits of the Parlement, the Parlement wrote a protest to the King, declaring, "Sire, your Parlement cannot recognize any intermediate power it and your person; no, your Council has over the Parlement no authority, superiority, or jurisdiction." The prolonged war drained the treasury of the Kingdom; France paid not only for its own army, but subsidized the armies of its allies; in 1759 France paid 19 million livres to its allies, an amount which Choiseul reduced by one-third in 1761. His new finance minister, Étienne de Silhouette imposed new taxes aimed at the wealthy; taxes on horses, carriages, silk, paintings, coffee and furs, and other luxury goods. The new taxes were extremely unpopular with the aristocracy and wealthy; Silhouette was dismissed after eight months, and his name became the common expression for paper cutout made from a shadow, which, like his ministry, lasted only a moment. The King announced that he was giving his silver service to the mint, to be melted down and made into money. The new Controller of Finances, Henri Bertin, a protege of Madame Pompadour named on 23 November 1759, reduced the luxury taxes of his predecessor, and instead proposed a broadening of the tax base to include those classes which had long been excluded, and a new survey of the wealth of the nobility. Once again the Parliaments rebelled. When the Lieutenant General of Normandy appeared before the Parliament to register the decree, it refused to register or collect the new taxes. The same scene was reproduced in the other Parlements. Once again the King yielded to Madame de Pomapdour and her allies; the new decrees were withdrawn, Bertin was moved to a different position, the tax rolls were not enlarged, and no new taxes were collected; the debt remained. The war with England continued, despite the death of King George II on 25 October 1760; the British Prime Minister William Pitt rejected French proposals for suggestions for negotiations. On 15 August 1761, France, Spain, Naples and Parma, all ruled by monarchs of the Bourbon family, signed the first "Family Pact" with a system of reciprocal guarantees of support if one or the other were attacked. At the same time, they signed a secret treaty with Charles III of Spain engaging Spain to declare war on England if the war was not over by May 1762. Learning of this pact, William Pitt wanted to declare an immediate war on Spain, but the new British King, George III, rejected the idea. The military forces of Frederick the Great in Prussia had been nearly exhausted in the long war against the combined forces of Austria and Russia; but Frederick was saved by the sudden death of the Tsarina Elizabeth in 1762, and her replacement by Peter III of Russia, a fervent admirer of the Prussian King. The winter of 1763–64 was particularly harsh; Madame de Pompadour contracted pneumonia, and died on 15 April. The King was deeply affected, but, strictly observing court protocol, he did not attend her funeral, because she was too far below his rank, and, though mourning, carried on court business as usual. Maneuvering immediately began within the court to replace Madame de Pompadour; a leading candidate was Duchess of Gramont, the sister of Choiseul, but the King showed no interest in a new mistress, and in February 1765 he closed down the Parc-aux-Cerfs, where he had previously met his petites maitresses. The resistance of the Parlements to the King's authority continued. The Parlements of the provinces began to quarrel with the Parlement of Paris over which more truly represented the nation. In March 1764, the Parlement of Navarre in Pau, the smallest province, refused to accept the taxation authority of the Grand Council of the King. This time the King took action, arresting and replacing the President and leading officers of the Parlement, and replacing them with officers loyal to the King. The Parlements of Toulouse, Besançon and Rouen protested, but the King persisted. In 1765 the Parlement of Brittany in Rennes denied the authority of the King's officers to impose taxes without its permission, and went on strike. 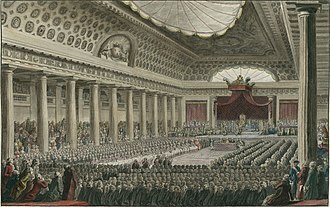 The King summoned the Parlement to Versailles, where he had his lecture read to them. This had little effect; when the King had his decree to the Parlement posted on the walls of Rennes, the Parlement ordered that the posters with the King's proclamation be taken down. The King issued letters of cachet that forbade the Parlement members to leave Rennes, but the judicial system remained on strike. The end of 1765 brought another personal tragedy; his son and heir Louis contracted tuberculosis. He travelled with the King to the Palace of Fontainebleau. The King distracted himself by secluding himself with the astronomer César-François Cassini de Thury and making astronomic calculations, while the doctors tried, without success, to treat his son. The Dauphin died on 20 December 1765. The succession was assured, since the Dauphin had a son, the future Louis XVI, who was of age to rule, but the death put him into a deep depression. He drafted his own will, writing: "If I made errors, it was not from a lack of will, but from a lack of talents, and for not having been supported as I wished to have been, particularly in matters of religion." The Queen was deeply affected by the death of the Dauphin in 1765, then the death of her father in 1766, and then her daughter-in-law. She died on 24 June 1768. In January 1766, while the King was still mourning the death of the Dauphin, the Parlement of Brittany issued another rejection of the King's authority to collect taxes. When he ignored it, both the Parlement of Rennes and the Parlement of Rouen wrote him again, complaining that he was ignoring "the oath that you took to the nation when accepting the crown." When this part of the letter was read to the King, he interrupted the reading and declared that this accusation was false; he had taken an oath to God alone, not to the nation. On 3 March 1766, with only a few hours notice, he traveled in person from Versailles to the meeting of the Parlement of Paris at the Palais de la Cité and appeared before the members. In his message, read to them by one of his ministers, he declared, "It is in my person alone that sovereign power resides...To me alone belongs the legislative power, without dependence and without sharing...The public order emanates entirely from me...Confusion and anarchy are taking the place of legitimate order, and the scandalous spectacle of a contradictory rivaling my sovereign power reduces me to the sad necessity to use all the power that I received from God to preserve my peoples from the sad consequences of these enterprises." The speech, immediately termed "the flagellation", was published in official press, and circulated to all levels of government. It became his political testament. The conflict between the Parlements and King was muted for a time, but not resolved. After the death of the Madame de Pompadour, several women in the court sought to replace her, including the Duchess of Gramont, the sister of the Duke of Choiseul, the King's chief minister. However, the King's favor turned to Jeanne Bécu, the comtesse du Barry. She was thirty-three years younger than the King. She was the illegitimate daughter of Anne Bécu, a seamstress. She was raised by the Dames de Sacre-Coeur, and had various jobs as a shop assistant and designer of dresses before she became the mistress of a self-proclaimed count, Jean du Barry. She began to hold a salon, which attracted writers and aristocrats. Since Jean du Barry was already married, to give her legitimacy he arranged for her to become engaged to his brother, Guillaume, a retired soldier. They were married on 1 September 1768, and then, without spending the night with her, Guillaume retired to his home in Languedoc. Through her acquaintances with the nobility, she was invited to Versailles, where the King saw her and was immediately attracted to her. He invited her to Fontainebleau, and then asked her to live in the Palace of Versailles. Her appearance at the Court scandalized the Duke de Choiseul, but pleased the enemies of the Duke within the Court. For du Barry to be presented at Court, she had to be formally presented by a member of the nobility. The elderly Contesse de Béarn was persuaded to make the presentation for large fee, and she was presented on 22 April 1769. None of the ladies of the Court attended, and de Choiseul himself, to show his displeasure, hosted a large reception the following day, which all the Court, except du Barry, attended. The King soon installed her in the Palace of Versailles, and in 1771 gave her the new Pavillon de Louveciennes. Choiseul sowed a strong dislike for DuBarry, as did Marie Antoinette, who arrived in Versailles and married the Dauphin on 16 May 1770. She described the Comtesse as "The most stupid and impertinent creature imaginable". However, the King kept du Barry close to him until the final days before his death, when he sent her away before he made confession. The presence of du Barry at the court scandalized the high members of the Aristocracy. 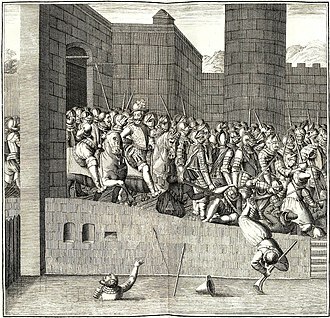 Outside the Court, the opponents of the King in the Parlements used her presence to ridicule and attack the King. She was the target of dozens of scandalous pamphlets accusing her of every possible immoral act. Decades later, during the Reign of Terror of the French Revolution, the Comtesse was targeted by the Jacobins as a symbol of the hated old regime; she was guillotined on 8 December 1793. The borders of France were enlarged for the last time before the Revolution by two additions; The Duchy of Lorraine, ruled by The King's father-in-law, Stanislas, reverted to France after his death, and officially was joined to the kingdom 27–28 March 1766. The acquisition of Corsica was more complicated. The island formally belonged to the Republic of Genoa, but an independent Republic of Corsica had been proclaimed in 1755 by Pasquale Paoli, and the rebels controlled most of the island. The Republic of Genoa did not have the military forces to conquer the island, and permitted Louis to send French troops to occupy the ports and major cities, to keep the island from falling into British hands. When the war ended, the island was formally granted to France by Treaty of Versailles on 19 May 1768. Louis sent the army to subdue the Corsican rebels; the army on the island eventually numbered twenty-seven thousand soldiers. In May 1769 the Corsican rebels were defeated at the Battle of Ponte Novu, and Paoli took refuge in England. In 1770 the island formally became a Province of France. Two men had an enormous influence on the economic policies of the King. François Quesnay was the best-known economist in France. He was the King's doctor, and treated Madame de Pompadour, but was also a celebrated economic theorist, whose collected writings, "Tableau Économique" (1758), were avidly read by the King and his Court: Louis referred to him as "my thinker." His students included The Marquis de Mirabeau and Adam Smith. He was a critic of government regulation, and coined the term "bureaucracy" (literally "A government of desks"). The other was his disciple, the Minister of the Commerce of the King, Jacques Claude Marie Vincent de Gournay. The two men advocated removing as many restrictions as possible from the economy, to encourage greater production and trade. De Gournay's famous expression, laissez faire, laissez passer ("it be done, let it pass") was later adopted as the slogan of a whole school of free market economics. De Gournay and Quesnay proposed in particular the liberalization of agricultural markets, which were strictly controlled, to encourage greater production, competition and lower prices. Following the doctrines of Quesnay and de Gournay, Louis's controller of finances, Henri Bertin, created a new Society of Agriculture and an Agricultural Committee within the government, comparable to those existing to support commerce. In May 1763, Bertin issued a decree permitting the tax-free circulation of grain without taxes. In August 1764, Bertin permitted the export of grain from twenty-seven French ports, later expanded to thirty-six. At the same time he established a large zone around Paris, where grain was reserved exclusively for feeding the Parisians, and established a cap on the grain price, which, if it was passed, would cause the exports to cease. The policy of freeing grain prices was effective in good years, and resulted in increased trade and lower prices, but during years with poor harvests; 1766, 1767 and 1768, prices went up. Most of the Parlements, in regions which produced grain, supported the policy, but others, including Paris and Rouen, were highly critical. In those cities rumors began to circulate of a mythical "Starvation Pact", a supposed plot by the government to deliberately starve and eliminate the poor. These rumors eventually became one of the factors that provoked the French Revolution. The Duc de Choiseul devoted all of his considerable energy and talents to preparing a new war against Britain. In 1764, in a former Jesuit school he had closed, he created a new military preparatory school, to prepare students for the recently founded Military Academy. In 1769 he raised the Naval school to the level of a royal academy, to train officers for his new fleet. In the same year he established a military engineering school. He provided the army with hundreds of new cannon, which would be used with great success decades later during the French Revolution and by Napoleon. Using the Prussian army as a model, he reformed French military doctrine, making the state and not the officers responsible for training and equipping soldiers. A large part of the French Navy had been sunk or captured by the British in the Seven Years' War. In addition to the existing naval arsenals in Toulon, Brest and Rochefort, he opened two more in Marseille (1762) and Lorient (1764). The arsenals began building new ships; by 1772 the Navy had sixty-six ships of the line, thirty-five frigates, and twenty-one new corvettes. He and his allies in the government began planning for an invasion of England, and his government looked for new ways to challenge England. When the Duc de Broglie learned that the British were planning to tax the citizens of the British colonies in America, he wrote to the King: "It will be very curious to know what the result will be, and if their execution doesn't result in a Revolution in those states." Choiseul combined his military preparations for war with a diplomatic alliance, the Pacte de Famille or Pact of the Family, which united with other countries ruled by Kings of the Bourbon dynasty; Spain, ruled by Louis's cousin Charles III of Spain, the Naples and Tuscany. Choiseul was so entirely focused on England as his future enemy that he almost entirely neglected the rest of Europe. He had no accredited Ambassadors in Poland, Prussia or Russia during most of the period, and stood by while Russia imposed its own candidate for King of Poland, and when Turkey and Russia went to war in 1768–70. A new conflict between England and Spain over the remote Falkland Islands in 1770 brought about Choiseul's downfall. The British had established a settlement in the islands, which were also claimed by Spain. In early 1770 the Spanish governor of Buenos Aires sent five warships full of troops to the islands, ordering the British to leave. The British prepared to depart. When the news reached London, the British government demanded that the Spanish leave. Both sides began to prepare for war. The possibility of a new war came just as France was undergoing a new confrontation between the King's government and the Parlement of Brittany, which once again refused to recognize the power of the King's government to impose taxes. The King wrote immediately to his cousin, the King of Spain, who wrote back that Spain did not want a war. Louis replied, "Gentleness and patience have guided me to the present, but my parlements, pushing to limit, have forgotten themselves to the point of disputing the sovereign authority that we possess only from the will of God. I am resolved to make myself obeyed by all available means..." On 24 December, the King sent a short note to Choiseul dismissing him from his post and ordering him to return to his home in Chateloup and to remain there. A similar note went to his cousin. Choiseul asked for two days to manage his affairs, but the King refused. Explaining the decision later to the Duke de Broglie, the King wrote, "The principles of the Choiseuls are too contrary to religion, and therefore to royal authority." The King passed the leadership of the government to a triumvirate of three conservative ministers, led by his Chancellor, René de Maupeou, who had been President of the Parlement from 1763 to 1768. Maupeou and two other conservative ministers, Abbot Terray for finance and the Duc d'Aiguillon for foreign affairs and war, took charge of the government. They became known as "The Triumvirate". The first priority of Maupeou was to bring the unruly Parlements under control, and to continue with his program for the modernization of the state. Most of the members of the Parlement of Paris were on a virtual strike, refusing to render justice or approve the King's decrees. On 21 January 1771, royal agents and musketeers arrived at the homes of each of the Parlement members, informing them that their positions were confiscated and ordering them to leave Paris and return to their home provinces, and not to leave them. This was followed in February by an even more radical measure: the regional Parlements were replaced as the high courts of civil justice by six new regional high councils, to judge serious criminal and civil cases. Another decree announced the abolition of the high fees demanded by the Parlements for resolving civil cases, which were the source of their members' income; civil justice was to be rendered without charge. The powers of the Parlement of Paris alone were largely unchanged. Without the provincial parliaments, the government was able enact new laws and taxes without opposition. However, after the King's death, the nobility demanded and received the restoration of the regional parliaments. Abbot Terray was nominally a priest, though his government career was entirely secular, and his personal life was considered scandalous. He was an efficient and relentless tax collector; he opened a school to train tax inspectors, and worked to see that taxes were imposed and collected with the same precision and vigor in all regions, without interference from the local nobility. When he first took his position, the state had a budget deficit of 60 million livres, and a long-term debt of 100 million livres. By 1774, revenues had been increased by 60 million livres and the debt reduced to 20 million livres. He also reimposed the regulation of the price of grain, which had been freed in 1763 and 1764; these controls were an issue which would disturb the government and provoke agitation until the French Revolution. The foreign affairs post had been left vacant by Choiseul, who acted as his own foreign minister. Following the dismissal of Choiseul, the King encouraged his cousin and ally Charles III of Spain to settle the crisis over the Falkland Islands with the aim of avoiding a war. Due to Choiseul's sole focus on a war with Britain, he had completely ignored the rest of Europe. France did not even have an ambassador in Vienna, and Russia and Prussia divided up an old French ally, Poland, without protest from France. 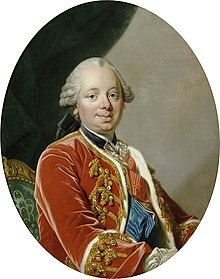 Another ally of France, Sweden, also risked being divided between Russia and Prussia upon the death of its King in 1771. The Prince Royal, Gustav III of Sweden, was staying in Paris at the time. He had a long meeting with Louis XV, who promised to support him. With French funding, and assistance from Louis's personal secret intelligence service, the Secret de Roi, Gustave III returned to Stockholm. On 19 August 1772, at his command, the Swedish royal guard imprisoned the Swedish Senate, and two days later he was proclaimed King by the Diet. Russia and Prussia, occupied with the division of Poland, protested but did not intervene. In the last years of his reign, the court of Versailles was a theater of manners. Marie-Antoinette, a resident since her marriage, had difficulty disguising her dislike for the King's mistress, Madame du Barry. The King constructed a set of luxurious rooms for Madame du Barry on the floor above his offices; Madame du Barry also reigned in the Petit Trianon, which the King had built for Madame de Pompadour, and in the Pavillon de Louveciennes, also built for Madame de Pompadour. 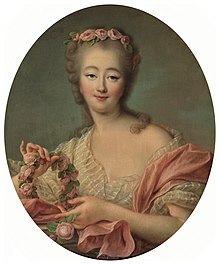 The Court was divided between those who welcomed Madame du Barry, and those of the older aristocracy, such as the Duc de Choiseul plus Marie-Antoinette, who scorned her. The King continued his grand construction projects, including the opera theater of the Palace of Versailles, completed for the celebration of the wedding of the Dauphin and Marie-Antoinette, and the new Place Louis XV (now Place de la Concorde) in Paris, whose centerpiece was an equestrian statue of the King, modeled after that of Louis XIV on the Place Vendôme. On 26 April 1774, the King left for the Petit Trianon with Madame du Barry and several nobles from his entourage, and reported that he felt ill. He participated in the hunt the next day, but rode in his carriage instead of on horseback. That evening he was still feeling ill, and sent for the Court physician, Le Mariniére. At the surgeon's insistence, the King was brought back to the Palace of Versailles for treatment, along with Madame du Barry and the others. The King was attended by six physicians, six surgeons, each of whom took his pulse and gave his diagnosis. He was bled three times by the surgeons, without effect. When some red eruptions appeared on his skin, the doctors first diagnosed petite variole, or smallpox, which caused optimism, since the patient and doctors both believed he had already had the illness. The members of the family, particularly the Dauphin and Marie-Antoinette, were asked to leave, since they had not already had the illness, and had no immunity. Madame du Barry remained with him. As the hours passed, the red eruptions of the disease grew worse, and the doctors began to fear for his life. On the morning of 1 May, the Archibishop of Paris arrived, but was kept out of the King's room to avoid alarming him. The King remained conscious and cheerful. However, on 3 May, he studied the eruptions on his hands, summoned the Archbishop, and announced, "I have the petite variole." The Archibishop instructed him to prepare for the final rites. That night, he summoned Madame du Barry, informed her of the diagnosis, and said, "We cannot recommence the scandal of Metz. If I had known what I know now, you would not have been admitted. I owe it to God and to my people. Therefore, you have to leave tomorrow." On 7 May, he summoned his confessor and was given the final rites. The illness continued its course; one visitor on 9 May, the Duc de Croy, said the King's face resembled, with the darkening of the eruptions of the smallpox, "a mask of bronze". Louis died at 3:15 in the morning on 10 May 1774. Several of his contemporaries who worked closely with him tried to describe the personality of Louis XV. The Duke de Croy wrote: "He had a memory, presence, and justness of spirit that was unique. He was gentle, an excellent father, and the most honest individual in the world. He was well informed in the sciences...but with a modesty which, with him, was almost a vice. He always saw more correctly than others, but he always believed he was wrong.... He had the greatest bravery, but a bravery that was too modest. He never dared to decide for himself, but always, out of modesty, turned for advice to others, even when he saw more accurately than they did...Louis XIV had been too proud, but Louis XV was not proud enough. Other than his excessive modesty, his great and sole vice was women; He believed that only his mistresses loved him enough to tell him the truth. For that reason he allowed them to lead him, which contributed to his failure with finance, which was the worse aspect of his reign." Others, like d'Argenson, his Minister of War commented on his extreme shyness and timidity; his inability to make conversation with others. The Duke of Luynes remarked that he often seemed to want to speak, but "his timidity stopped him and the expressions did not come; one felt that he wanted to say something obliging, but he often ended by simply asking a frivolous question." Another characteristic remarked by contemporaries was his penchant for secrecy. "No one was a greater expert at dissimulation than the King", wrote d'Argenson. "He worked from morning to night to dissimulate; he did not say a word, make a gesture or demarche except to hide what he really wanted." "He was the most excellent of men", wrote another contemporary, Duffort de Cheverny, "but, in defiance of himself, he spoke about the affairs of state as if someone else was governing." The most famous remark attributed to Louis XV (or sometimes to Madame de Pompadour) is "Apres nous, le deluge" ("After us, the deluge"). It is commonly explained as his indifference to financial excesses, and a prediction of the French Revolution to come. The remark is usually taken out its original context. It was made in 1757, a year which saw the crushing defeat of the French army by the Prussians at the Battle of Rossbach and the assassination attempt on the King. The "Deluge" the King referred to was not a revolution, but the arrival of Halley's Comet, which was predicted to pass by the earth in 1757, and which was commonly blamed for having caused the flood described in the Bible, with predictions of a new deluge when it returned. The King was a proficient amateur astronomer, who collaborated with the best French astronomers. Biographer Michel Antoine wrote that the King's remark "was a manner of evoking, with his scientific culture and a good dose of black humor, this sinister year beginning with the assassination attempt by Damiens and ending with the Prussian victory." Halley's Comet finally passed the earth in April 1759, and caused enormous public attention and anxiety, but no floods. Another popular legend concerned the Maison-Aux-Serfs, the house in Versailles where, when he was no longer having sexual relations with Madame de Pompadour, he sometimes slept with his petites maitresses, young women recruited for that purpose. In popular legends at the time, it was described as a kind of harem, organized by Madame de Pompadour, where a group of women were kidnapped and kept for his pleasure. The legend was widely circulated in pamphlets with lurid illustrations, and made its way into some later biographies of the King. In reality it had only one occupant at a time, for brief periods. Madame Pompadour herself accepted it as a favorable alternative to a rival at court, as she stated: "It is his heart I want! All these little girls with no education will not take it from me. I would not be so calm if I saw some pretty woman of the court or the capital trying to conquer it." In February 1765, after the death of Madame de Pompadour, it was closed. Louis was a major patron of architecture; he spent more money on buildings over the course of his reign than Louis XIV. His major architectural projects were the work of his favorite court architect, Ange-Jacques Gabriel. They included the Ecole Militaire (1751–1770); the Place Louis XV (now Place de la Concorde (1763–83); the Petit Trianon at Versailles (1762–64), and the opera theater of the Palace of Versailles. Louis began construction of the Church of Saint-Geneviève, now the Pantheon (1758–90) He also constructed monumental squares and surrounding buildings in the centers of Nancy, Bordeaux, and Rennes. His workshops produced fine furniture, porcelain, tapestries and other goods in the Louis XV Style which were exported to all the capital cities of Europe. The King, the Queen and her daughters were major patrons of music. The queen and her children played the clavecin, under the instruction of François Couperin. The young Mozart came to Paris and wrote two sonatas for clavecin and violin which he dedicated to Madame Victoire, the King's daughter. The King himself, like his grandfather Louis XIV, was taught to dance ballet but danced only once in public, in 1725. 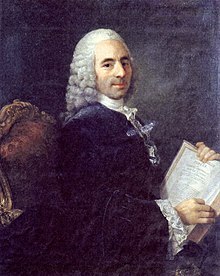 The most important musical figure of the reign was Jean Philippe Rameau, who was the court composer through the 1740s and 1750s, and wrote more than thirty operas for Louis and his court. Louis XV, guided largely by Madame de Pompadour, was the most important art patron of the period. He commissioned François Boucher to paint pastoral scenes for his apartments in Versailles, and gave him the title of First Painter of the King in 1765. 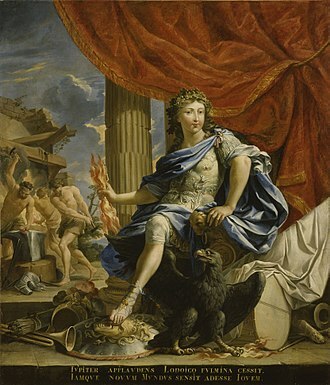 Other artists patronized by the King included Jean-Baptiste Oudry, Maurice Quentin de la Tour, Jean Marc Nattier, and the sculptor Edme Bouchardon. Bouchardon created the monumental statue of Louis XV on horseback which was the centerpiece of Place Louis XV until it was pulled down during the Revolution. The French philosophical movement later called The Enlightenment began and gathered force during the reign of Louis XV; In 1746 Diderot published his Pensees philisophiques, followed in 1749 by his Lettres sur les Aveugles and the first volume of the Encyclopédie, in 1751. Montesquieu published De l'esprit des Lois in 1748. 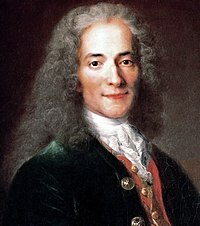 Voltaire published le Siecle de Louis XIV and l'Essai sur les moeurs et l'esprit des nations in 1756. Rousseau became known in 1750 by the publication of Discours sur les sciences et les arts, followed in 1755 by Discours sur les origins et les fundaments de l'inégalité. These were accompanied by new works on economics, finance, and commerce by the elder Mirabeau, François Quesnay and other scientific thinkers which undermined all of the standard assumptions of royal government, economics and fiscal policy. The censors of Louis XV at first permitted these publications; the first volume of the Encylopedie received official permission because the government censors believed it was purely a collection of scientific articles. The project soon included a multitude of authors, including Rousseau, and had four thousand subscribers. Only later did the government and King himself take notice, after the church attacked the Encylopédie for questioning official church doctrines. The King personally removed Diderot from the list of those nominated for the Académie française, and in 1759 the Encyclopédie was formally banned. Rousseau had a resounding success in 1756 with his opera Devin du Village, and was invited to Versailles to meet the King, but he refused. Instead, he wrote the Contrat Social calling for a new system based upon political and economic equality, published in 1762. Increasingly solitary and unstable, he wandered from province to province, before returning to Paris, where he died in solitude in 1778. His ideas, composed during the reign of Louis XV, were adopted by the revolutionaries who overthrew Louis XVI in 1789. In the 1740s Voltaire was welcomed to the court as a playwright and poet, but his low rank as the son of a notary and the fact his father was also a Jansenist soon displeased the King and the Queen, and he was finally forced to depart Versailles. He went to Berlin, where he became a counselor to Frederick the Great, before living in Geneva and Savoy, far from Paris. On one issue in particular Voltaire took the side of Louis XV; when the King suppressed the parlements of nobles, demanded that all classes be taxed equally, and removed the charges which plaintiffs had to pay in order to have their cases heard. He wrote: "Parlements of the King! You are charged with rendering justice to the people! Render justice upon yourselves!...There is in the entire world no judicial court which has ever tried to share the power of the sovereign." However, the King's lack of further reforms in his last years disappointed Voltaire. When the King died, Voltaire wrote of his reign, "Fifty-six years, consumed with fatigues and wanderings." For much of his lifetime Louis XV was celebrated as a national hero. 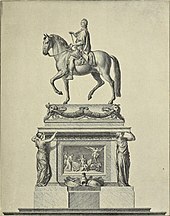 Edmé Bouchardon's equestrian statue of Louis was originally conceived to commemorate the monarch's victorious role in the War of the Austrian Succession. He portrayed the king as peacemaker. It was not unveiled until 1763, following France's defeat in the Seven Years' War. Designed as a symbol of loyalty to the king, Bouchardon's work was used by the Crown for a public relations event staged to restore public confidence in a monarchy in decline. It used art as propaganda on a grand scale. This statue was located on the Place Louis XV and was torn down during the Revolution. French culture and influence were at their height in the first half of the eighteenth century, but most scholars agree that Louis XV's decisions damaged the power of France, weakened the treasury, discredited the absolute monarchy, and made it more vulnerable to distrust and destruction. Scholars point to the French Revolution, which broke out 15 years after his death. Norman Davies characterized Louis XV's reign as "one of debilitating stagnation", characterized by lost wars, endless clashes between the Court and Parlement, and religious feuds. Jerome Blum described him as "a perpetual adolescent called to do a man's job." The view of many historians is that Louis was unequal to the high expectations of his subjects. Robert Harris wrote in 1987 that, "Historians have depicted this ruler as one of the weakest of the Bourbons, a do-nothing king who left affairs of state to ministers while indulging in his hobbies of hunting and womanizing." Harris added that ministers rose and fell according to his mistresses' opinions, seriously undermining the prestige of the monarchy. The political story....of the reigns of Louis XV and Louis XVI, by contrast, had too often been scorned, and therefore neglected, as a meaningless succession of petty intrigues in boudoirs and bedrooms, unworthy of serious attention when there were economic cycles, demographic fluctuations, rising and falling classes, and deep-seated shifts in cultural values to analyse. Some scholars have ignored the king's own actions and turned instead to his image in the mind of the public. Emmanuel Le Roy Ladurie, the leader of the Annales School, noted that the king was handsome, athletic, intelligent and an excellent hunter, but that he disappointed the people. He did not keep up the practice of Mass and performing his religious obligations to the people. Le Roy Ladurie wrote that the people felt he had reduced the sacred nature of the monarchy, and thereby diminished himself. According to Kenneth N. Jassie and Jeffrey Merrick, contemporary songs, poems, and public declarations typically portrayed a king as "master", unblemished "Christian", and benevolent provider ("baker"). Young Louis' failings were attributed to inexperience and manipulation by his handlers. Jassie and Merrick argued in 1994 that the king's troubles mounted steadily, and the people blamed and ridiculed his debauchery. The king ignored the famines and crises of the nation. The people reviled the king in popular protest, and finally celebrated his death. The monarchy survived—for a while—but Louis XV left his successor with a damaging legacy of popular discontent. Some sermons on his death in 1774 praised the monarch and went out of their way to excuse his faults. Jeffrey Merrick wrote in 1986, "But those ecclesiastics who not only raised their eyebrows over the sins of the Beloved but also expressed doubts about his policies reflected the corporate attitude of the First Estate more accurately." They prayed the new king would restore morality at court and better serve the will of God. 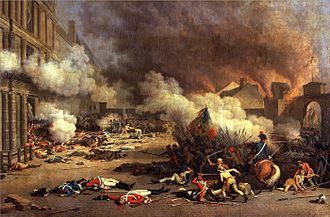 The financial strain imposed by the wars and excesses of the royal court, and the consequent dissatisfaction with the monarchy, contributed to the national unrest that culminated in the French Revolution of 1789. The historian Colin Jones argued in 2011 that Louis XV left France with serious financial difficulties: "The military disasters of the Seven Years' War led to acute state financial crisis.". Ultimately, he wrote, Louis XV failed to overcome these fiscal problems, mainly because he was incapable of pulling together conflicting parties and interests in his entourage. Although aware of the forces of anti-monarchism threatening his family's rule, he did not do anything to stop them. A few scholars have defended Louis, arguing that his highly negative reputation was based on propaganda meant to justify the French Revolution. Olivier Bernier in his 1984 biography argued that Louis was both popular and a leader in reforming France. In his 59-year reign, no foreign army crossed the French border, and her people were not threatened by conquest. He was known popularly as Le Bien-aimé (the well-beloved). Many of his subjects prayed for his recovery during his serious illness in Metz in 1744. His dismissal of the Parlement of Paris and his chief minister, Choiseul, in 1771, were attempts to wrest control of government from those Louis considered corrupt. He changed the tax code to try to balance the national budget. Bernier argued that these acts would have avoided the French Revolution, but his successor, Louis XVI, reversed his policies. Guy Chaussinand-Nogaret wrote that Louis XV's tarnished reputation was created fifteen years after his death, to justify the French Revolution, and that the nobility during his reign were competent. E. H. Gombrich wrote in 2005, "Louis XV and Louis XVI, the Sun King's [Louis XIV] successors, were incompetent, and content merely to imitate their great predecessor's outward show of power. The pomp and magnificence remained....Finance ministers soon became expert swindlers, cheating and extorting on a grand scale. The peasants worked till they dropped and citizens were forced to pay huge taxes." Jeffrey Merrick wrote in 1986 that Louis XV's weak and ineffective rule accelerated the general decline that culminated in the French Revolution in 1789. The king was a notorious womaniser; the monarch's virility was supposed to be another way in which his power was manifested. 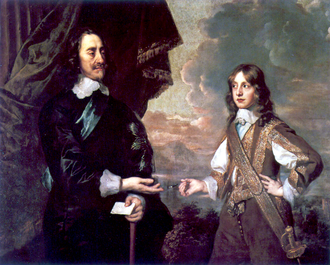 Nevertheless, Merrick wrote, popular faith in the monarchy was shaken by the scandals of Louis’ private life and by the end of his life he had become despised. Many historians agreed that in terms of culture and art, France reached a high point under Louis XV. However, he was blamed for the many diplomatic, military and economic reverses. His reign was marked by ministerial instability, while his "prestige was ruined by military failure and colonial losses", concluded Jean-Denis Lepage. The French line of succession upon the death of Louis XV in 1774. Charles Emmanuel Marie Magdelon de Vintimille (Versailles, 2 September 1741 – Saint-Germain-en-Laye, 24 February 1814), marquis du Luc. 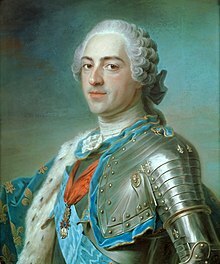 Recognized by his mother's husband, although was highly probable that his biological father was Louis XV, especially in adulthood, when he was called Demi-Louis ("Small Louis") for his exceptional resemblance with the King. He was appointed Maréchal de camp and Governor of Porquerolles. Married to Adélaïde de Castellane on 26 November 1764, he fathered three children. Amélie Florimond de Norville (Saint-Eustache, Paris, 11 January 1753 – 27 September 1790). Registered one day after her birth (12 January 1753) as a daughter of certain bourgeois from Paris called Louis Florimond de Norville, a non-existent person; the paternity of the King is suggested by later evidence. Married to Ange de Faure (1739–1824) on 1 June 1780, with whom she had two children. Agathe Louise de Saint-Antoine de Saint-André (Paris, 20 May 1754 – Paris, 6 September 1774). The first illegitimate child of the King whose parentage was certain, but she was never officially recognized; in fact, she was registered as a daughter of a Louis de Saint-André, Old official of infantry and Louise-Marie de Berhini, resident of Saint-Antoine street, non-existent persons. In November 1773 she received from the King her letters of Official Recognition of Nobility (which enabled her to marry a nobleman), and funds of 223,000 livres. One month later, on 27 December 1773, she married René Jean de La Tour-du-Pin, marquis de la Charce, and died after only nine months of marriage as a consequence of a miscarriage. Marguerite Victoire Le Normant de Flaghac (Riom, Puy-de-Dôme, 5 January 1768 – aft. 1814). Officially recognized by her mother's second husband, she was probably also an illegitimate child of the King. Married firstly on 24 February 1786 to Jean-Didier Mesnard, comte de Chousy, with whom he had two children; after her divorce following the incarceration of her husband in 1793, she then married Constant Lenormant d'Étiolles (a son of the husband of Madame de Pompadour) in November 1794, with whom he had another child. Philippe Louis Marie Innocent Christophe Juste de Narbonne-Lara (Parma, 28 December 1750 – Paris, 10 May 1834), Duc de Narbonne-Lara. Captain of the Dragons Regiment of the Queen, Colonel of the Regiment of Forez and Field Marshal in 1790. Married on 3 February 1771 to Antoinette-Françoise-Claudine de La Roche-Aymon. No issue. Louis Marie Jacques Amalric de Narbonne-Lara (Colorno, 23 August 1755 – Torgau, 17 November 1813), called Comte de Narbonne-Lara. Colonel of the Army and Honorary Chamberlain of Princess Madame Marie Adélaïde of France. In 1786 he was appointed a commander of an infantry regiment and remained in that post until the eve of the French Revolution and later served under Napoleon. Married on 16 April 1782 to Marie Adélaïde de Montholon, with whom he had two daughters. He also fathered two other children out of wedlock. Note: Both children are officially recognized by their mother's husband, although it is alleged that the King himself was the real father. The coevals attribute the paternity of both children to Louis XV for, according to documents from the Military Archive, Françoise de Châlus' husband had been wounded in the War of the Austrian Succession (1747) becoming from that moment unable to have any offspring. The baptism of Louis, Comte de Narbonne-Lara is another indication of that paternity. His wife had become the King's mistress. Not only was it noted that he was named Louis but also his contemporaries remarked on the similarities between the young Louis and the King. Agnès Louise de Montreuil (Saint-Sulpice, Paris, 20 May 1760 – Montmelas, 2 September 1837). Registered as a daughter of a certain Louis de Montreuil, old Official of cavalry, a non-existent person, the paternity of the King is supported by other evidence. Married on 9 December 1778 to Gaspard d'Arod de Montmelas (brother-in-law of her own mother), with whom she had four children. Anne Louise de La Réale (Saint-Paul, Paris, 17 November 1762 – Saint-Germain-en-Laye, 30 April 1831). Registered as a daughter of Antoine Louis de la Réale, old Captain of cavalry, a non-existent person, the paternity of the King is supported by further evidence. Married on 28 August 1780 to René Guillaume Paul Gabriel Etienne de Geslin, Comte de Geslin, with whom she had six children. Agnès Lucie Auguste (Paris, 14 April 1761 – Boysseulh, 4 July 1822). Married on 5 December 1777 to Charles de Boysseulh, vicomte de Boysseuilh, with whom she had three children. Aphrodite Lucie Auguste (Versailles, 8 March 1763 – Artonne (Puy-de-Dôme), 22 February 1819). Married on 21 December 1784 to Jules de Boysseulh (her step-brother; son of the first marriage of her mother's husband), with whom she had one daughter. Note: Both children were registered as daughters of Louis Auguste, Old Official, and citizen Lucie, both non-existent persons. In August 1774 Agnès and Aphrodite received from Louis XVI their letters of recognition of nobility (demoiselles issue de la plus ancienne noblesse de France) and following the stipulations leave by Louis XV, each of them obtained a capital of 223,000 livres and a reported annual revenue of 24,300 livres. Louis Aimé of Bourbon (Passy, Paris, 13 January 1762 – Rome, 28 February 1787), called the Abbot of Bourbon; he was the only one of the illegitimate children of Louis XV who was officially recognized. Abbot of Saint Vincent de Metz, French Ambassador in Rome from 1785. He died of smallpox. Benoît Louis Le Duc (7 February 1764 – 1837). Registered as a son of Louis Le Duc, old cavalry official and lady Julie de la Colleterie, both non-existent persons; his royal parentage was supported by later evidence. 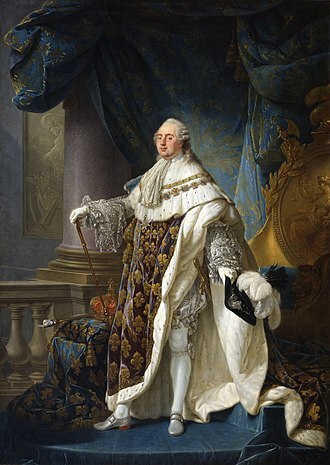 Louis's formal style was "Très haut, très puissant et très excellent Prince Louis XV, par la grâce de Dieu, roi de France et de Navarre", or "Most high, most potent and most excellent Prince Louis XV, by the Grace of God, King of France and of Navarre". Louis heel, a shoe heel shape named after Louis XV. ^ Joël Cornette, Histoire de la France : Absolutisme et lumières 1652-178320, Hachette Éducation, 2008, p. 121. ^ Guéganic (2008), p. 13. ^ Guéganic (2008), p. 14. ^ Bluche (2003), pp. 15–17. ^ The Regent disgraced the stubborn and vain Villeroy in 1722, depriving the king of whom he almost considered as his father. ^ Bluche (2003), pp. 26–28. ^ Bluche (2003), p. 226. ^ Antoine (1989), pp. 64–65. ^ Herbermann, Charles George (1913). The Catholic encyclopedia. p. 103. ^ Guéganic (2008), p. 20. ^ Backhouse, Roger, Economists and the economy: the evolution of economic ideas, Transaction Publishers, 1994, ISBN 978-1-56000-715-9, p. 118. ^ Bluche (2003) pp. 223–226. ^ Guéganic (2008), pp. 16–17. ^ Bluche (2003), p. 36. ^ Guéganic (2008) p. 68. ^ Bluche (2003) pp. 56–58. ^ Bluche (2003), pp. 39–47. ^ Bluche (2003), pp. 53–55. ^ Bluche (2003), p. 57. ^ Bluche (2003), pp. 57–58. ^ Olivier Bernier, Louis the Beloved: the Life of Louis XV (1984), p. 63. ^ John Rogister, Louis XV and the Parlement of Paris, 1737–55 (2002), p. 135. ^ Antoine (1989), pp. 254–255. ^ Antoine (1989), pp. 289–90. ^ Antoine (1989), pp. 290–91. ^ Antoine (1989), pp. 294-295-90. ^ Jeremy Black (2013). From Louis XIV to Napoleon: The Fate of a Great Power. Routledge. p. 1726ff. ISBN 9781135357641. ^ Antoine (1989), p. 301. ^ Bluche (2003), p. 77. ^ Bluche (2003), pp. 233–235. ^ Bluche (2003) p. 78. ^ Antoine (1989) pp. 387. ^ Arntoine (1989), p. 354. ^ Antoine (1989), pp. 38.7. ^ Antoine (1989) pp. 400–403. ^ Antoine (1989) p. 401. ^ René de La Croix duc de Castries, The Lives of the Kings & Queens of France (1979), p. 216. ^ Antoine (1993), p. 485. ^ Antoine (1993), p. 490. ^ Colin Jones, The Great Nation: France from Louis XV to Napoleon (London, 2002), p. 230. ^ Antoine (1989) page 758. ^ Antoine (1989) page 790. ^ Antoine (1989) page 986. ^ Pevitt, Madame de Pompadour, 159. ^ J. H. Shennan (1995). France Before the Revolution. Routledge. pp. 44–45. ISBN 9780415119450. ^ Norman Davies (1996). Europe: A History. Oxford U.P. pp. 627–28. ISBN 9780198201717. ^ Jerome Blum et al. The European World: A History (3rd ed 1970) p. 454. ^ Emmanuel Le Roy Ladurie, The Ancien Régime: A History of France, 1610–1774 (1998), pp. 320–23. ^ "BBC – History – King Louis XV". ^ Colin Jones, "The Other Cheek", History Today (Nov 2011), 61#11 pp. 18–24. ^ Jones (2002) p, 124, 132–33, 147. ^ Olivier Bernier, Louis the Beloved: The Life of Louis XV (1984), pp. 218–52. ^ Chaussinard-Nogaret, Guy. The French Nobility in the Eighteenth Century: From Feudalism to Enlightenment, Cambridge, England. Cambridge University Press, 1985. ^ E. H. Gombrich (2005). A Little History of the World. Yale U.P. p. 216. ISBN 978-0300132076. ^ Jeffrey Merrick, "Politics in the Pulpit: Ecclesiastical Discourse on the Death of Louis XV", History of European Ideas 1986, 7(2): 149–160. ^ Jean-Denis G. G. Lepage (2009). French Fortifications, 1715–1815: An Illustrated History. McFarland. p. 6. ISBN 9780786458073. ^ Genealogie ascendante jusqu'au quatrieme degre inclusivement de tous les Rois et Princes de maisons souveraines de l'Europe actuellement vivans [Genealogy up to the fourth degree inclusive of all the Kings and Princes of sovereign houses of Europe currently living] (in French). Bourdeaux: Frederic Guillaume Birnstiel. 1768. p. 10. ^ In front of the notary Mr. Arnoult, on 12 January 1772 was granted to Amélie de Norville a pension of 2,000 livres. Aux Archives nationales, études XIV, 408, et XXXV, 728. In her marriage contract dated 30 June 1780 was accorded a pension of 3,000 livres from the Royal Treasure to Amélie and her future children. After the Bourbon Restoration, this decision was confirmed on 4 December 1815. Courcelles, Histoires généalogiques des Pairs de France, vol. 5, p. 52. ^ Les enfants naturels de Louis XV – 02. Agathe-Louise de Saint-Antoine de Saint-André in: histoire-et-secrets.com [retrieved 9 March 2013]. ^ Camille Pascal, "Le goût du roi : Louis XV et Marie-Louise O'Murphy". This theory is supported by three facts: 1. The King gave Marie-Louise O'Murphy the sum of 350,000 livres between 1771–1772 (Marguerite, then a three-years-old child, surpassed the dangerous first year of infancy, and Louis XV probably wanted to protect the mother of his child), 2. When Marguerite married in 1786 all the royal family was present and signed the marriage contract, and 3. After the Bourbon Restoration, King Charles X gave Marguerite an "annual indemnity" of 2,000 francs from his own treasure and a further payment of 3,000 francs from the Civil List. ^ "On 25 of August 1755, received the baptism at the Chapel of the King, from the Very High and Very Powerful Lord, Monseigneur Charles-Antoine de La Roche-Aymon, Archbishop-Primate of Narbonne, President of the States-Generals of the Province of Languedoc, Commander of the Order of the Holy Spirit. The Godfather was the Most High and Most powerful Prince Louis Auguste of France, Duke of Berry, and the Godmother the Most High and Most Powerful Princess Madame Marie Adélaïde of France." ^ In August 1774 King Louis XVI granted her letters of Official Recognition of Nobility, and previously Louis XV secured for her capital of 223,000 livres and reported an annual revenue of 24,300 livres. In addition, Louis XVI personally signed her marriage contract. ^ In August 1774 King Louis XVI granted her letters of Official Recognition of Nobility, identical to her sister. She also received from Louis XV capital of 223,000 livres and reported annual revenue of 24,300 livres. In addition, at the age of fifteen (1777), she received the further amount of 12,000 livres as a renewed pension. ^ Evelyne Lever: Le crépuscule des rois – chronique 1757–1789, Fayard 2013, p. 68. ^ Louis XV secured for him capital of 223,000 livres who reported an annual revenue of 24,300 livres. In August 1774 Louis XVI signed a letter of Official Recognition of Nobility for him (identical to the other illegitimate children of Louis XV). In 1785 (when he took the Holy Orders) he received a dispensation from the Pope because of his illegitimate origin. After the Bourbon Restoration, Louis XVIII accorded him a pension of 6,000 francs from the Civil List, which was augmented to 20,000 francs in May 1821. Charles X (with whom he had an extraordinary physical resemblance) not only maintained his pensions but also paid his exorbitant gambling debts. In 1830 he solicited King Louis-Philippe I to secure his pensions, which the King granted. Marquis Philippe de Dangeau, Journal; 1856–60, Paris; XVI, 136; in Olivier Bernier, Louis the Beloved, The Life of Louis XV: 1984, Garden City, New York: Doubleday and Company. p. 3. The scene is described in Olivier Bernier, Louis the Beloved, The Life of Louis XV: 1984, Garden City, New York: Doubleday and Company. p. 17. Bernier, Olivier. Louis the Beloved: The Life of Louis XV (1984) 261 pp. Engels, Jens Ivo. "Denigrer, Esperer, Assumer La Realite. Le Roi de France perçu par ses Sujets, 1680–1750" ["Disparaging, Hoping, Taking on Reality: the French King as Perceived by His Subjects, 1680–1750"]. Revue D'histoire Moderne et Contemporaine 2003 50(3): 96–126. Treasure, Geoffrey. The Making of Modern Europe, 1648–1780 (3rd ed. 2003). pp 297–331. Woodbridge, John D. Revolt in Prerevolutionary France: The Prince de Conti's Conspiracy against Louis XV (1995). 242 pp. Haslip, Joan. Madame du Barry: The Wages of Beauty. (1992). 224 pp. Jones, Colin. Madame de Pompadour: Images of a Mistress. London: National Gallery Publ., 2002. 176 pp. Lever, Evelyne. Madame de Pompadour. (2002). 320 pp. Mitford, Nancy. Madame de Pompadour (1954) 312pp. The accession of the King of France was legitimized by coronation ceremony performed with the Crown of Charlemagne at Notre-Dame de Reims. The most important part of the French coronation ceremony was not the coronation itself, the Carolingian king Pepin the Short was the first anointed monarch in Europe, which occurred in Soissons to legitimize the accession of the new dynasty. A second coronation of Pepin by Pope Stephen II took place at the Basilica of St Denis in 754, the first coronation performed by a Pope. Since this Roman glass vial containing the balm due to be mixed with chrism, was brought by the dove of the Holy Spirit. All succeeding Kings of France were anointed with this same oil—mixed with chrism prior to their coronation, French queens were crowned either together with their husband at Rheims or alone at Sainte-Chapelle or Abbey of St. Denis. The king is crowned by the Archbishop of Reims who is assisted by four bishops of his ecclesiastical province. The established order of six bishops is, The Archbishop of Reims anoints, the Bishop of Laon carries the holy ampulla. The Bishop of Langres carries the scepter, the Bishop of Beauvais carries and shows the coat of arms or royal mantle. The Bishop of Chalons carries the royal ring, the Bishop of Noyon carries the belt. To these are added the Abbot of the Abbey of Saint-Remi, guardian of the ampulla. Peers are cited for the first time in 1203 and 1226, their first recorded participation in the coronation is made on the occasion of the coronation of Philip V of France on 9 January 1317. These are the six aforementioned ecclesiastical peers and the six lay peers, in order of protocol, the six lay peers are, The Duke of Burgundy carries the royal crown, girds the kings sword, and gives him the order of chivalry. The Duke of Normandy carries the first square banner, the Duke of Aquitaine carries the second square banner. The Count of Toulouse carries the spurs, the Count of Flanders carries the royal sword. The Count of Champagne carries the banner of war, the spiritual peerages were perpetual, and were never extinguished during the existence of the Kingdom of France. The territory was divided into five colonies, each with its own administration, Hudsons Bay, Acadia and Louisiana. Acadia had a history, with the Great Upheaval, remembered on July 28 each year since 2003. The descendants are dispersed in the Maritime Provinces of Canada, in Maine and Louisiana in the United States, with populations in Chéticamp, Nova Scotia. In the sixteenth century, the lands were used primarily to draw from the wealth of natural resources, in the seventeenth century, successful settlements began in Acadia, and in Quebec by the efforts of Champlain. 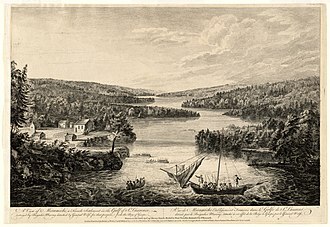 By 1765, the population of the new Province of Quebec reached approximately 70,000 settlers. 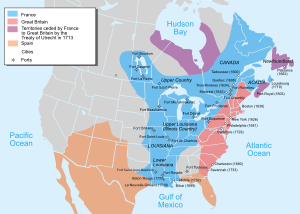 In 1763 France had ceded the rest of New France, except the islands of Saint Pierre and Miquelon, to Great Britain and Spain at the Treaty of Paris, in 1800, Spain returned its portion of Louisiana to France under the secret Treaty of San Ildefonso. However, French leader Napoleon Bonaparte in turn sold it to the United States in the Louisiana Purchase of 1803, New France eventually became part of the United States and Canada, with the only vestige remaining under French rule being the tiny islands Saint Pierre and Miquelon. In the United States, the legacy of New France includes numerous placenames as well as pockets of French-speaking communities. In Canada, institutional bilingualism and strong Francophone identities are arguably the most enduring legacy of New France, the Conquest is viewed differently among Francophone Canadians, and between Anglophone and Francophone Canadians. Around 1523, the Florentine navigator Giovanni da Verrazzano convinced King Francis I, late that year, Verrazzano set sail in Dieppe, crossing the Atlantic on a small caravel with 50 men. After exploring the coast of the present-day Carolinas early the year, he headed north along the coast. The first European to discover the site of present-day New York, he named it Nouvelle-Angoulême in honour of the king, verrazzanos voyage convinced the king to seek to establish a colony in the newly discovered land. Verrazzano gave the names Francesca and Nova Gallia to that land between New Spain and English Newfoundland, in 1534, Jacques Cartier planted a cross in the Gaspé Peninsula and claimed the land in the name of King Francis I. 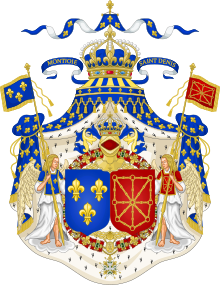 The House of Bourbon is a European royal house of French origin, a branch of the Capetian dynasty. Bourbon kings first ruled France and Navarre in the 16th century, by the 18th century, members of the Bourbon dynasty held thrones in Spain, Naples and Parma. Spain and Luxembourg currently have Bourbon monarchs, the royal Bourbons originated in 1268, when the heiress of the lordship of Bourbon married a younger son of King Louis IX. The house continued for three centuries as a branch, while more senior Capetians ruled France, until Henry IV became the first Bourbon king of France in 1589. 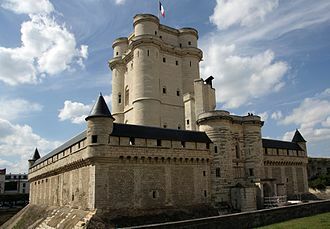 Restored briefly in 1814 and definitively in 1815 after the fall of the First French Empire, a cadet Bourbon branch, the House of Orléans, ruled for 18 years, until it too was overthrown. The Princes de Condé were a branch of the Bourbons descended from an uncle of Henry IV. Both houses were prominent in French affairs, even during exile in the French Revolution, until their respective extinctions in 1830 and 1814. When the Bourbons inherited the strongest claim to the Spanish throne, the claim was passed to a cadet Bourbon prince, a grandson of Louis XIV of France, who became Philip V of Spain. The Spanish House of Bourbon has been overthrown and restored several times, reigning 1700–1808, 1813–1868, 1875–1931, Bourbons ruled in Naples from 1734–1806 and in Sicily from 1734–1816, and in a unified Kingdom of the Two Sicilies from 1816–1860. They ruled in Parma from 1731–1735, 1748–1802 and 1847–1859, all legitimate, living members of the House of Bourbon, including its cadet branches, are direct agnatic descendants of Henry IV. The term House of Bourbon is sometimes used to refer to this first house and the House of Bourbon-Dampierre, the second family to rule the seigneury. In 1268, Count of Clermont, sixth son of King Louis IX of France, married Beatrix of Bourbon, heiress to the lordship of Bourbon and their son Louis was made Duke of Bourbon in 1327. His descendant, the Constable of France Charles de Bourbon, was the last of the senior Bourbon line when he died in 1527. Louis XVI, born Louis-Auguste, was the last King of France and Navarre before the French Revolution, during which he was known as Louis Capet. In 1765, at the death of his father, Dauphin of France and heir apparent of Louis XV of France, Louis XVI was guillotined on 21 January 1793. The first part of his reign was marked by attempts to reform France in accordance with Enlightenment ideas and these included efforts to abolish serfdom, remove the taille, and increase tolerance toward non-Catholics. The French nobility reacted to the reforms with hostility. Louis implemented deregulation of the market, advocated by his liberal minister Turgot. In periods of bad harvests, it would lead to food scarcity which would prompt the masses to revolt, from 1776, Louis XVI actively supported the North American colonists, who were seeking their independence from Great Britain, which was realized in the 1783 Treaty of Paris. The ensuing debt and financial crisis contributed to the unpopularity of the Ancien Régime and this led to the convening of the Estates-General of 1789. 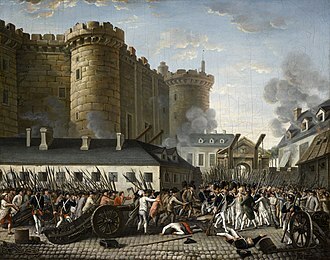 In 1789, the storming of the Bastille during riots in Paris marked the beginning of the French Revolution. Louiss indecisiveness and conservatism led some elements of the people of France to view him as a symbol of the tyranny of the Ancien Régime. The credibility of the king was deeply undermined, and the abolition of the monarchy, Louis XVI was the only King of France ever to be executed, and his death brought an end to more than a thousand years of continuous French monarchy. Louis-Auguste de France, who was given the title Duc de Berry at birth, was born in the Palace of Versailles. Out of seven children, he was the son of Louis, the Dauphin of France. His mother was Marie-Josèphe of Saxony, the daughter of Frederick Augustus II of Saxony, Prince-Elector of Saxony and King of Poland. A strong and healthy boy, but very shy, Louis-Auguste excelled in his studies and had a taste for Latin, history and astronomy. He enjoyed physical activities such as hunting with his grandfather, and rough-playing with his brothers, Louis-Stanislas, comte de Provence. Charles X was King of France from 16 September 1824 until 2 August 1830. 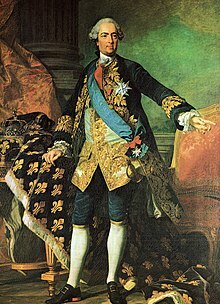 For most of his life he was known as the Count of Artois, an uncle of the uncrowned King Louis XVII, and younger brother to reigning Kings Louis XVI and Louis XVIII, he supported the latter in exile and eventually succeeded him. His rule of almost six years ended in the July Revolution of 1830, which resulted in his abdication, exiled once again, Charles died in 1836 in Gorizia, part of the Austrian Empire. He was the last of the French rulers from the branch of the House of Bourbon. Charles Philippe of France was born in 1757, the youngest son of the Dauphin Louis and his wife, Charles was created Count of Artois at birth by his grandfather, the reigning King Louis XV. As the youngest male in the family, Charles seemed unlikely ever to become king and his eldest brother, Duke of Burgundy, died unexpectedly in 1761, which moved Charles up one place in the line of succession. He was raised in childhood by Madame de Marsan, the Governess of the Children of France. At the death of his father in 1765, Charless oldest surviving brother, Louis Auguste and their mother Marie Josèphe, who never recovered from the loss of her husband, died in March 1767 from tuberculosis. This left Charles an orphan at the age of nine, along with his siblings Louis Auguste, Louis Stanislas, Count of Provence, Louis XV fell ill on 27 April 1774 and died on 10 May of smallpox at the age of 64. His grandson Louis-Auguste succeeded him as King Louis XVI of France, in November 1773, Charles married Marie Thérèse of Savoy. 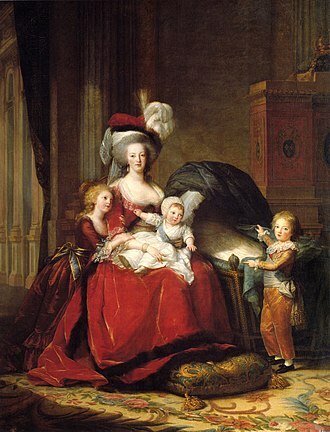 The marriage, unlike that of Louis XVI and Marie Antoinette, was consummated almost immediately, in 1775, Marie Thérèse gave birth to a boy, Louis Antoine, who was created Duke of Angoulême by Louis XVI. Three years later, in 1778, Charles second son, Charles Ferdinand, was born, in the same year Queen Marie Antoinette gave birth to her first child, Marie Thérèse, quelling all rumours that she could not bear children. Charles was thought of as the most attractive member of his family and his wife was considered quite ugly by most contemporaries, and he looked for company in numerous extramarital affairs. Louis, Dauphin of France was the only surviving son of King Louis XV of France and his wife, Queen Marie Leszczyńska. Son of the king, Louis was styled Fils de France, as heir apparent, he became Dauphin of France. 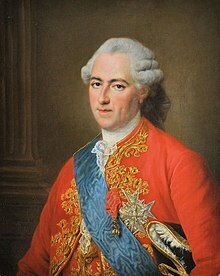 However, he died before ascending to the throne, three of his sons became kings of France, Louis XVI, Louis XVIII and Charles X. French royal family, Louis was baptised privately and without a name by Cardinal Armand de Rohan. On 27 April 1737 when he was seven years old the public ceremony of the other baptismal rites took place and it was at this point that he was given the name Louis Ferdinand. His godparents were Louis, Duke of Orléans and the Dowager Duchess of Bourbon, Louis governess was Madame de Ventadour who had previously served as his fathers governess. When he was seven years old, the Duke of Châtillon was named his governor, the Count of Muy was named under-governor, from an early age Louis took a great interest in the military arts. 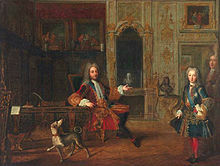 He was bitterly disappointed when his father would not permit him to join the 1744 campaign in the War of the Austrian Succession, when his father became deathly ill with fever at Metz, Louis disobeyed orders and went to his bedside. This rash action, which could have resulted in the deaths of both Louis and his father, resulted in a permanent change in the relations between father and son, until then, Louis XV had doted on his son, but now the relationship was more distant. He was very close to his three oldest sisters, the marriage contract was signed 13 December 1744, the marriage was celebrated by proxy at Madrid 18 December 1744 and in person at Versailles 23 February 1745. Louis and Maria Teresa Rafaela were well-matched and had an affection for each other. 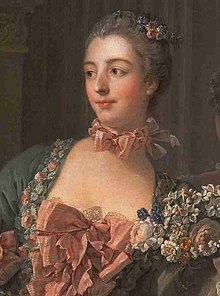 They had one daughter, Princess Marie Thérèse of France, three days after the birth of their daughter, Louiss wife, Maria Teresa Rafaela, died on 22 July 1746. Louis was only 16 years old and he grieved intensely at the loss of his wife, but his responsibility to provide for the succession to the French crown required he marry again quickly. In 1746, Louis received the Order of the Golden Fleece from his father-in-law King Philip V of Spain, a second marriage ceremony took place in person at Versailles on 9 February 1747. The cathedral in the time of Archbishop Hincmar. 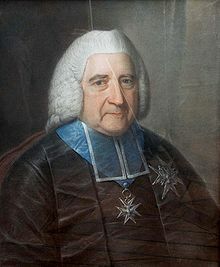 Philippe's father, wearing the collar of the Order of the Holy Spirit. 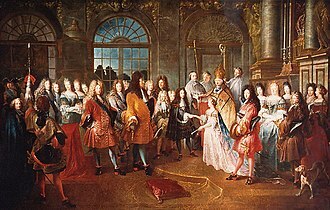 The 10-year-old Duke of Chartres in red on the right; the scene depicts the Doge of Genoa at Versailles on 15 May 1685. Philippe's wife, the proud Françoise Marie de Bourbon, youngest daughter of Madame de Montespan, by François de Troy. Louis de France at 9 in a study with a globe and a fortification treatise, by Louis Tocqué. 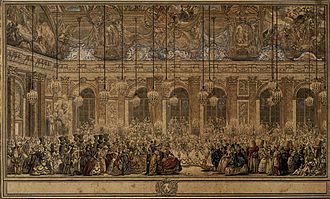 Masked Ball at Versailles for the wedding of Louis, Dauphin of France to Maria Teresa Rafaela of Spain, 1745. Louis, Dauphin of France, in 1747. Maurice de Saxe, by Maurice Quentin de La Tour. Commander of French forces in the Low Countries during the War of the Austrian Succession. Louis, the Duke of Gramont. He was killed during the battle. Françoise c. 1660, when Mademoiselle de Tonnay-Charente. Portrait of Peter I by Godfrey Kneller, 1698. This portrait was Peter's gift to the King of England. Philippe de France, duc d'Orléans the younger brother of Louis XIV. General Daumesnil : "I shall surrender Vincennes when I get my leg back". 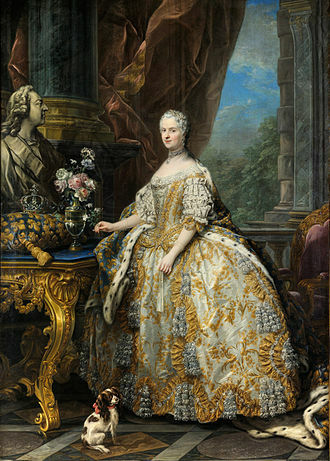 Princess Maria in 1712, by Johan Starbus. Marie Leszczynska dressed as a nun. 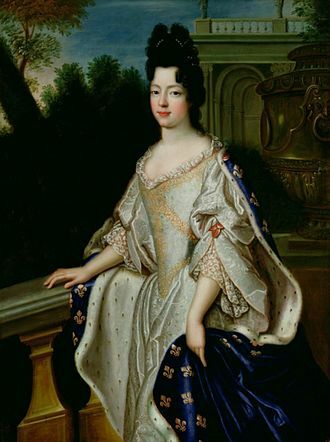 Marie Adélaïde of Savoy as depicted circa 1697 by a member of the École Française. Cardinal de Fleury, official portrait by Hyacinthe Rigaud, Château de Versailles.